Mackerel is Cheap, Nutritious and Delicious! There are many reasons why all of us should eat more fresh mackerel. It is packed full of Omega-3 fatty acids and other valuable nutrients, it is a fairly inexpensive fish to buy in relation to other popular edible species and the number of tasty ways in which you can cook it up and serve it is staggering. 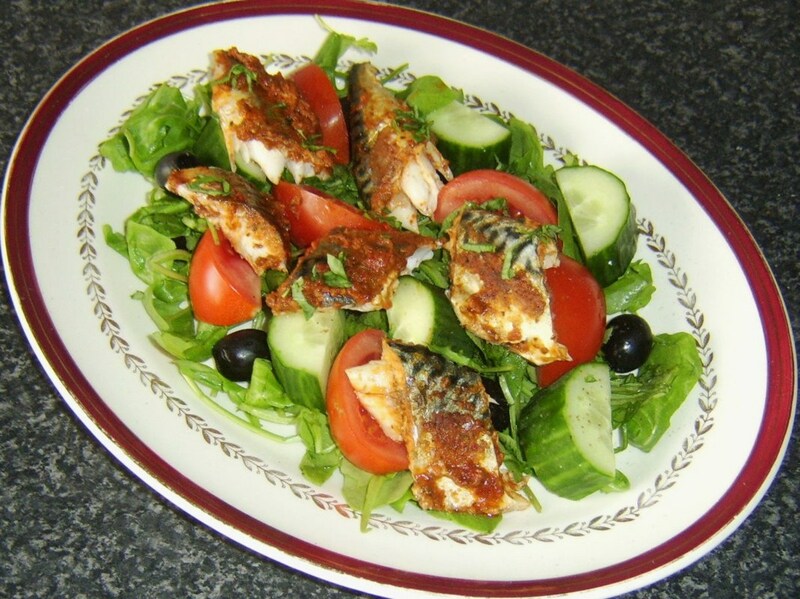 If you're not in the habit of eating fresh mackerel - or even if you are - this page is devoted to showing just a fraction of the many possible delicious mackerel recipes that can easily be prepared and enjoyed at home. Why not browse these recipe ideas, try coming up with a few of your own and give mackerel a go today? You may just find that you love it as much as I do! 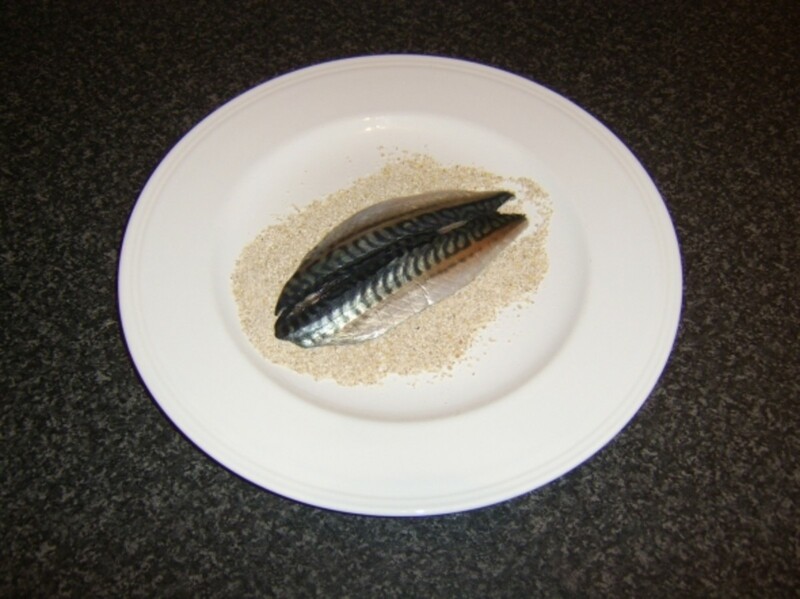 Mackerel - like all types of fish - is always best eaten fresh. If you are fortunate enough to be able to go mackerel fishing and catch your own supply, clearly you won't have a problem in this respect. If not, however, you will have to find a way of ensuring the mackerel you do buy is as fresh as possible. The first step is to buy your mackerel from a reputable source. A clean, well-established local fishmonger's or a supermarket which has a high turnover of fresh seafood are both ideal. Look for mackerel with clear eyes (not glazed and milky white) and bright purple gills. If possible, smell the fish. Contrary to what may be popular belief, fresh fish does not smell of fish - only fish past its best smells that powerful. Instead, fresh mackerel should smell slightly salty, of the sea from which they have recently been caught. 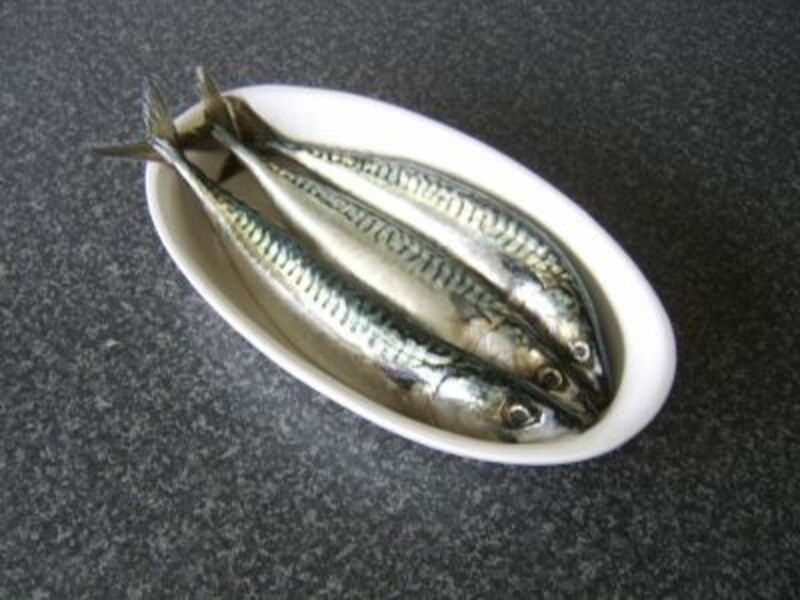 Begin by laying the whole, gutted mackerel in the base of a large soup or stock pot. Don't cook too many at a time in the same pot as there has to be room for plenty of water. Pour in enough water to ensure all the mackerel are comfortably covered. Season very well with salt. The water should be as salty as the sea. Put the pot on to a high heat, just until the water begins to boil. Turn off the heat immediately and carefully move the pot to a cool section of your stove. Put the lid on the pot and leave it alone for a couple of hours. 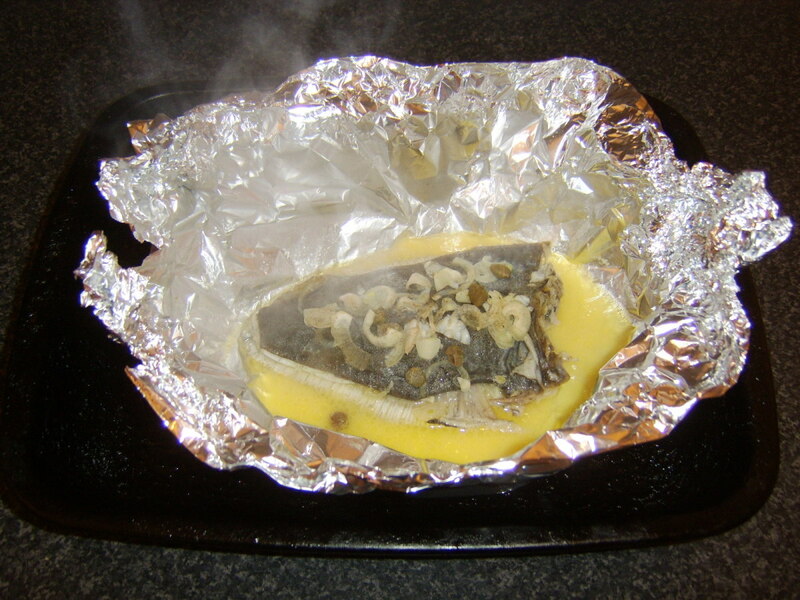 The mackerel will cook to perfection in the cooling water, leaving them juicy, succulent and tender. 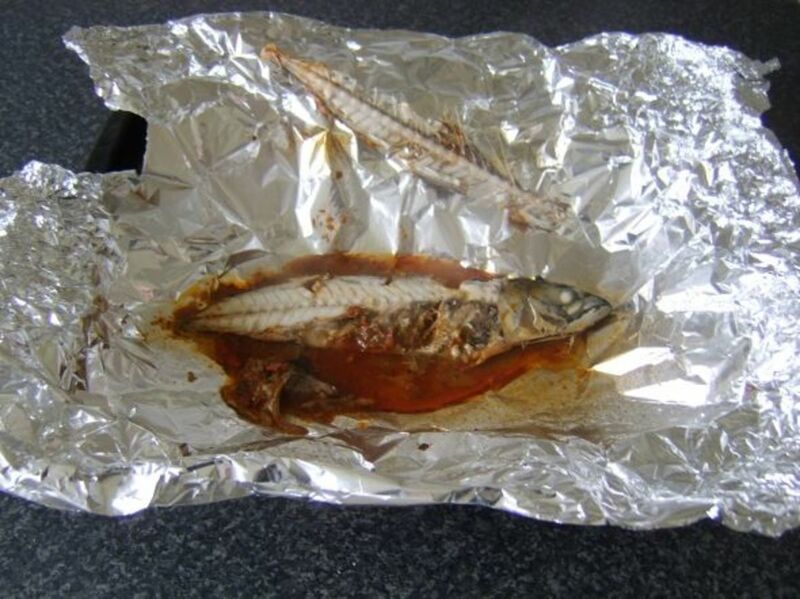 When you have set the mackerel aside to cool, you should prepare the salsa. This will allow the different flavours time to infuse before serving. 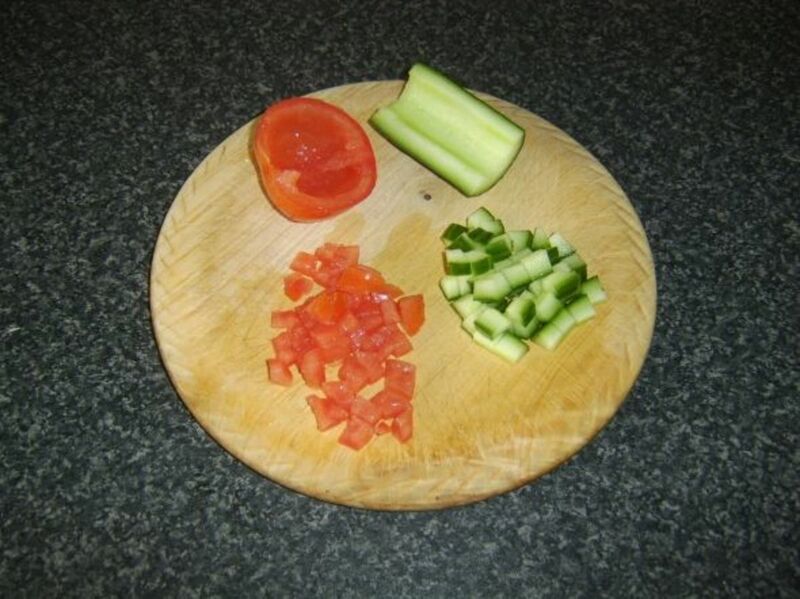 Cut the tomato and cucumber piece in half and scrape out the seeds and pulp with a teaspoon. Finely dice the flesh and add to a small glass or stone bowl. Peel one of the garlic cloves and finely dice. Place the basil leaves one on top of the other and roll like a carpet. Finely slice. Add the garlic and basil to the bowl and season with sea salt and black pepper. Spoon in the oil, mix thoroughly, cover with plastic wrap and refrigerate until required. 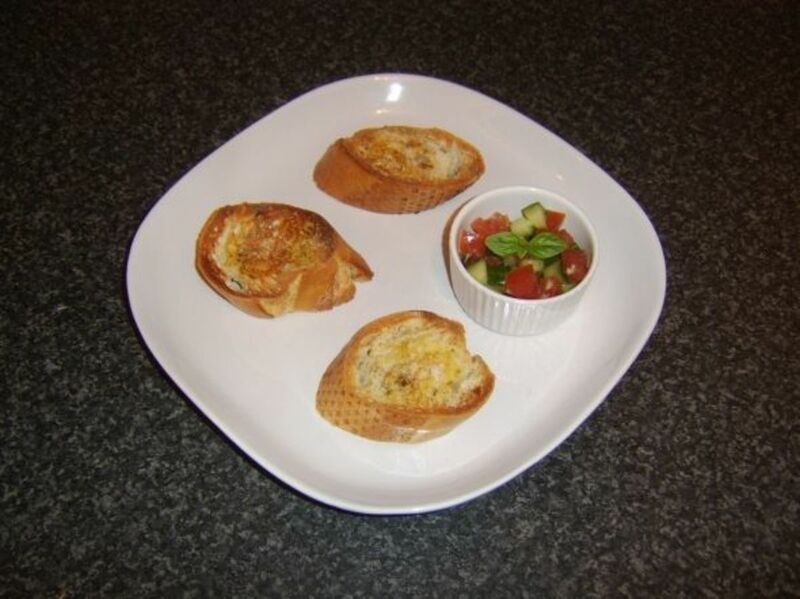 Divide the salsa evenly between two small ramekins, garnish each with a basil sprig and lay on the serving plates with the bruschetta. 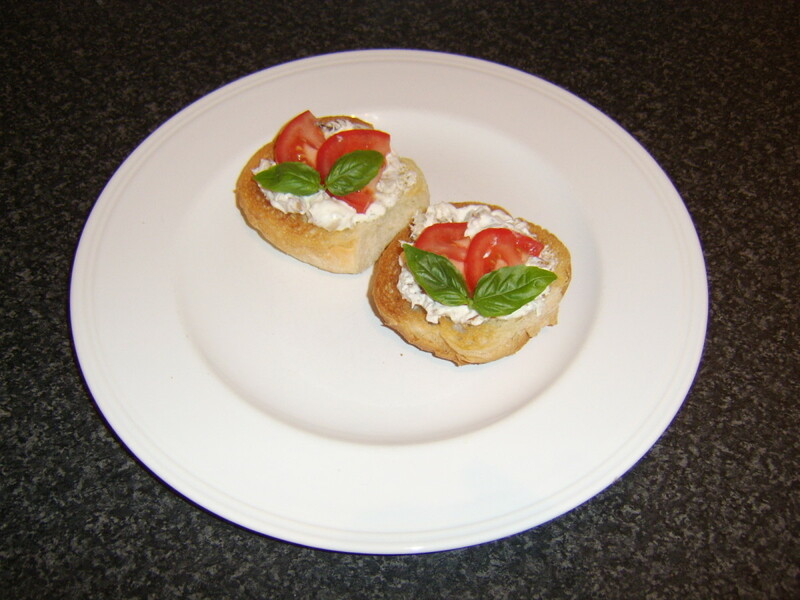 Lay the mackerel pieces on top of the bruschetta and serve. How are You Liking these Recipes so Far? 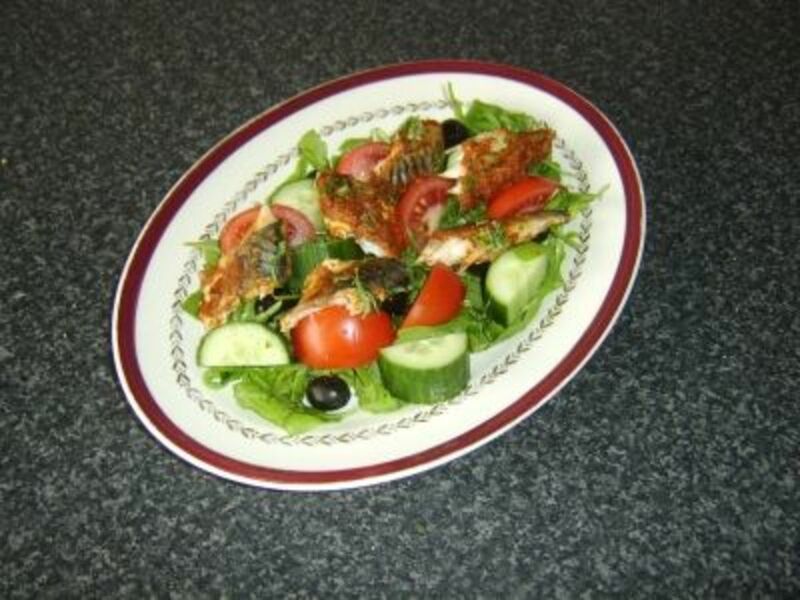 3.9 stars from 16 ratings of these simple mackerel recipes! Start by getting your oven on to preheat to 375F/190C. 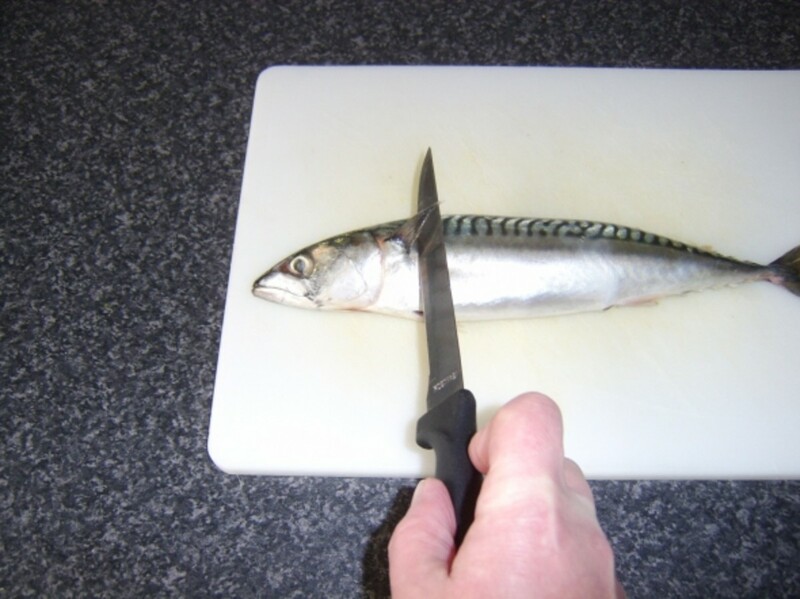 It is then not essential but recommended that you snip the fins off the mackerel with kitchen scissors. This will make removing the flesh from the cooked fish easier. 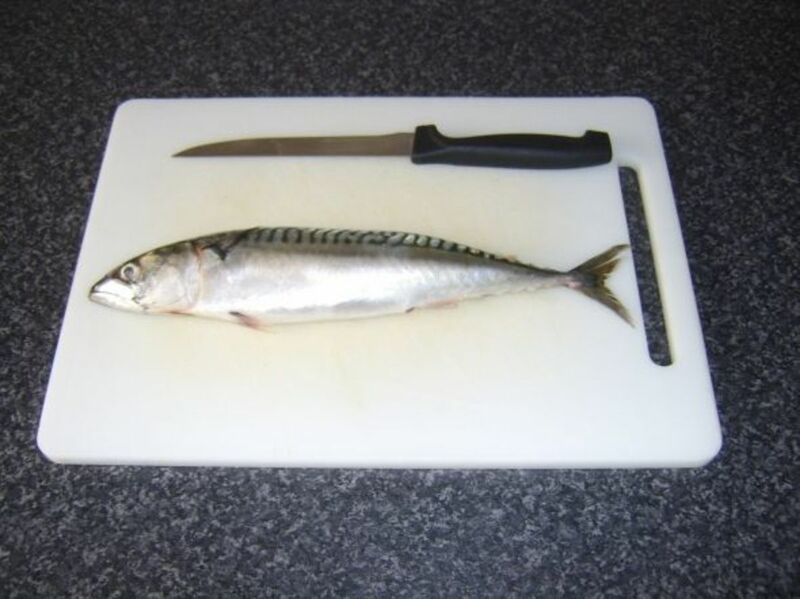 There are two principal ways in which it is possible to fillet mackerel and other similar fish. 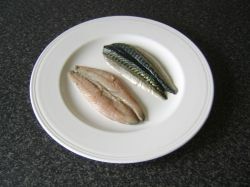 When you buy mackerel fillets from a fishmonger's or supermarket (pictured right), it is likely that the fish will have been filleted by cutting it open the length of its belly and essentially pressing down on the backbone to flatten the fish and free the backbone. The problem with filleting mackerel this way is that the flesh can often be damaged when removing the main bone and the number of smaller bones left intact can be considerable. This either means a great deal of extra work with tweezers or running the risk of getting a bone stuck in your throat when you eat the fish. Before you even contemplate trying this out for yourself, however, you will have to make sure you have a proper filleting knife. 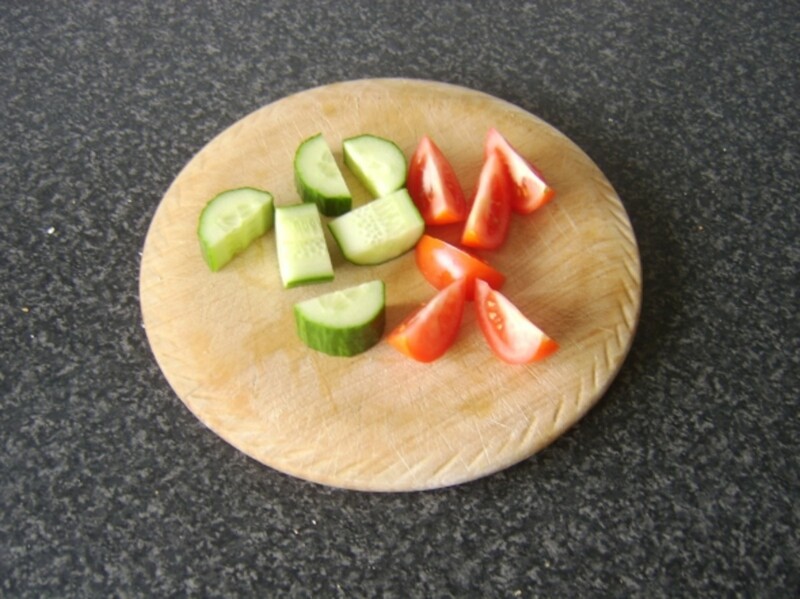 You will not be able to do this with just any kitchen knife, however sharp. The reason for this is that filleting knives are not only extremely sharp, the blade is flexible, allowing you to make the required maneouvres to take the fillets from the fish. If you want anything approaching best results when filleting fish - just like in so many other situations in life - it is necessary to have the proper tools for the job. 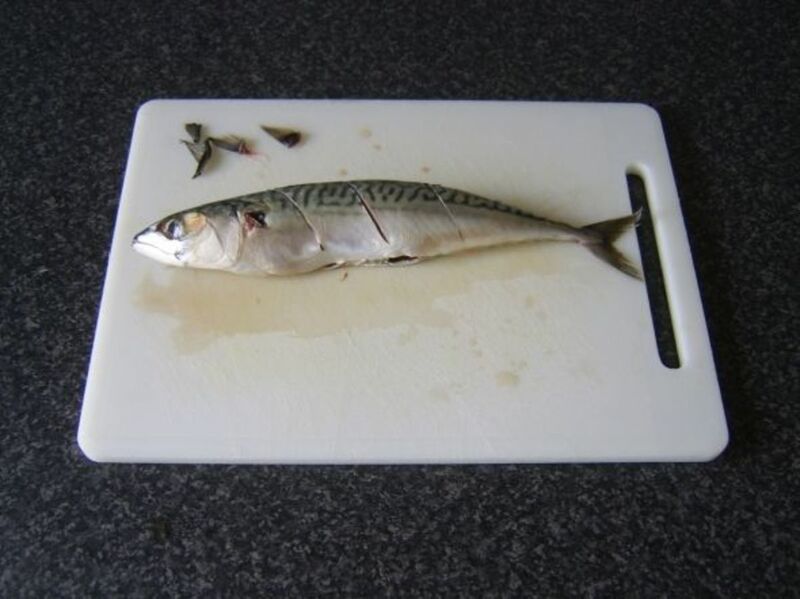 Lay the mackerel on its side on a steady chopping board. The head should be facing your weaker side - ie, if you are right-handed, the head should be to the left. Hold the head in your weaker hand and make a cut just behind the pectoral (head) fin, angled slightly towards the head, right through to the backbone. Twist the knife gently (this is where a flexible blade is essential), still touching the bone, to face the tail and use a see-saw cutting motion, at right angles to the fish and keeping the knife horizontal, to slice along the bone all the way to the tail. Remove the fillet and lay to one side. 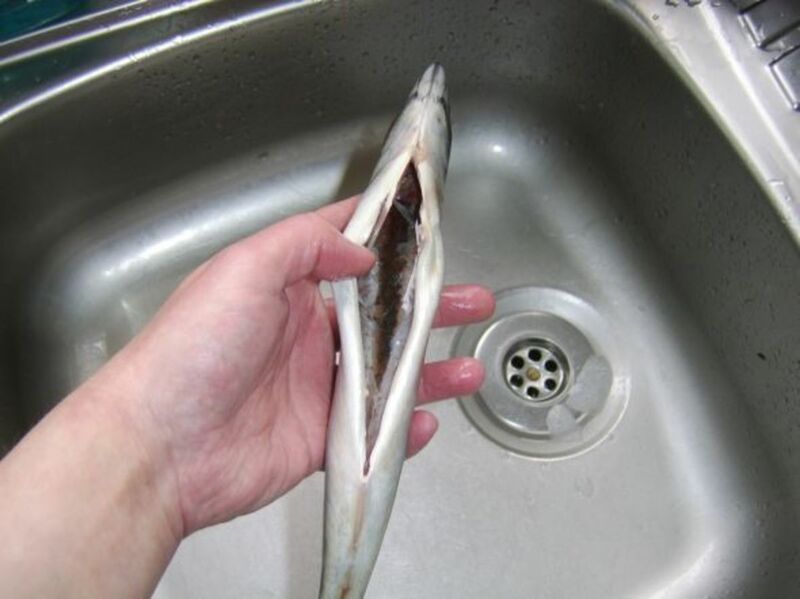 Turn the mackerel over and do exactly the same on the second side. Remove the fillet. This method of filleting will still leave you with some small pin bones in the flesh. Particularly with larger fillets, it is worth taking a moment or two to run your hand over each fillet, against the grain, to locate these bones and remove them with a pair of tweezers. Wash any guts and blood from the fillets, pat them dry with kitchen paper and cook as soon as possible by one of the methods below or your own chosen technique. 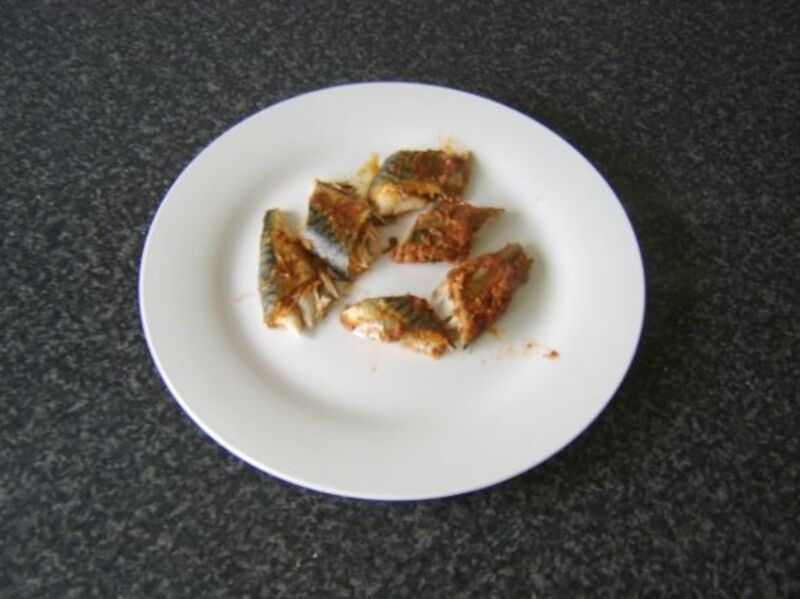 This is an incredibly quick and easy recipe for mackerel fillets, featured merely to illustrate how little cooking and preparation time is required before they are ready to eat. This way of cooking them allows the fillets to be accompanied by any number of different ingredients. In this instance, the fillets were made to be slightly spicy and were served as the simplest of starters with some Indian spiced onions. 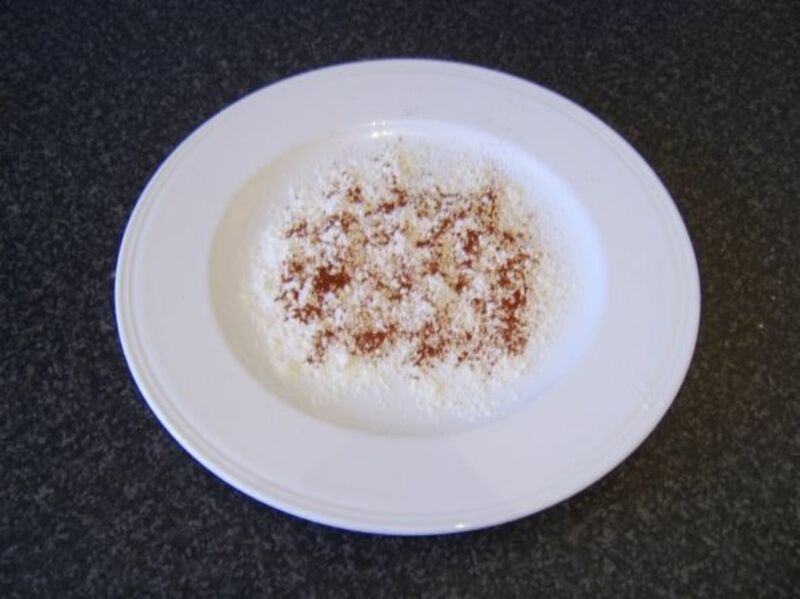 Put the flour on to a dinner plate along with the chilli powder and salt. Shake gently to combine. 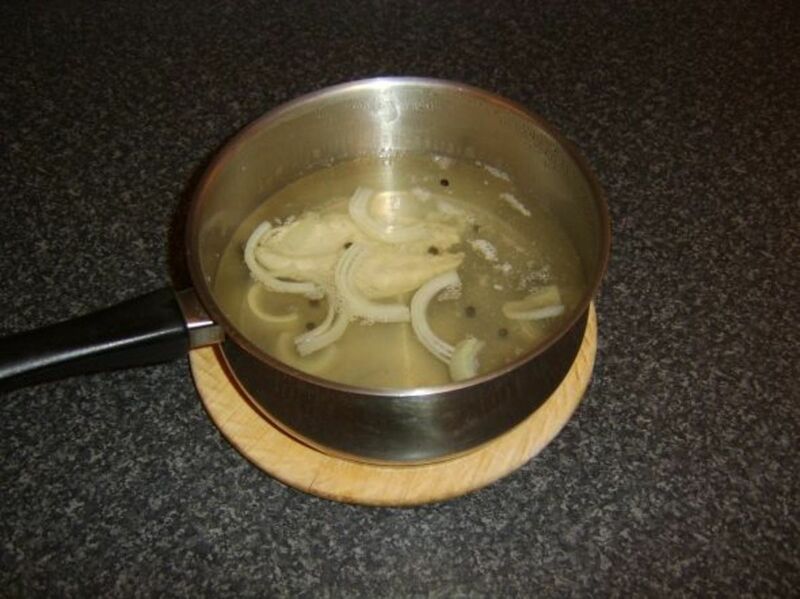 Put the oil in to a non-stick frying pan and bring it up to a medium to high heat. Pat the skin side only of the mackerel fillets in the seasoned flour and gently shake off excess. 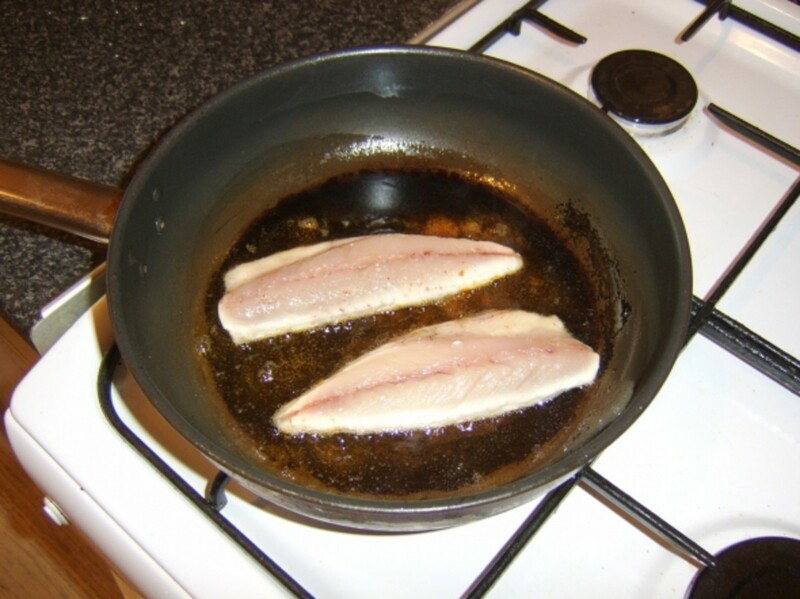 Lay the fillets on their skin sides in the frying pan. When you can see that the mackerel fillets are cooked almost all the way to the top - two to three minutes - reduce the heat to minimum and turn the fillets on to their flesh sides for one minute only. 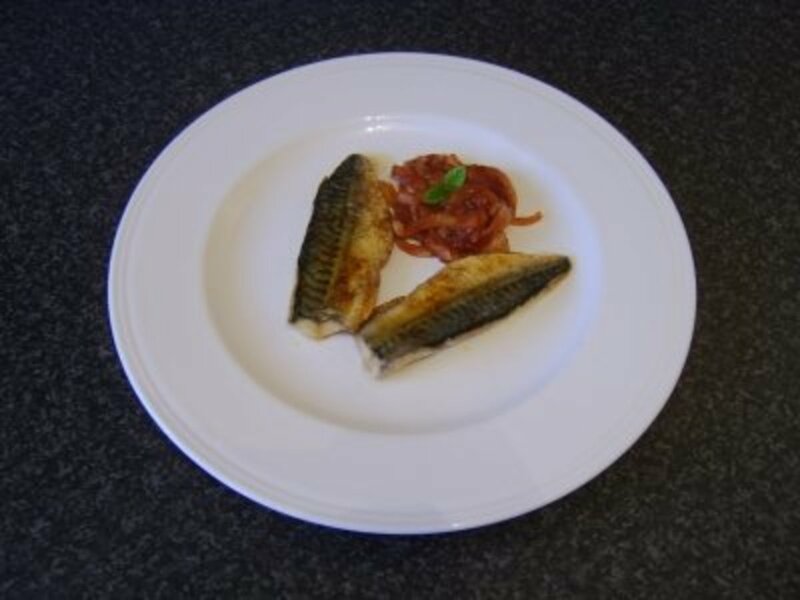 Remove the mackerel fillets to a plate, add your accompaniments or garnish and serve immediately. This recipe is a slightly different take on the basic, whole poached mackerel featured further up this page. 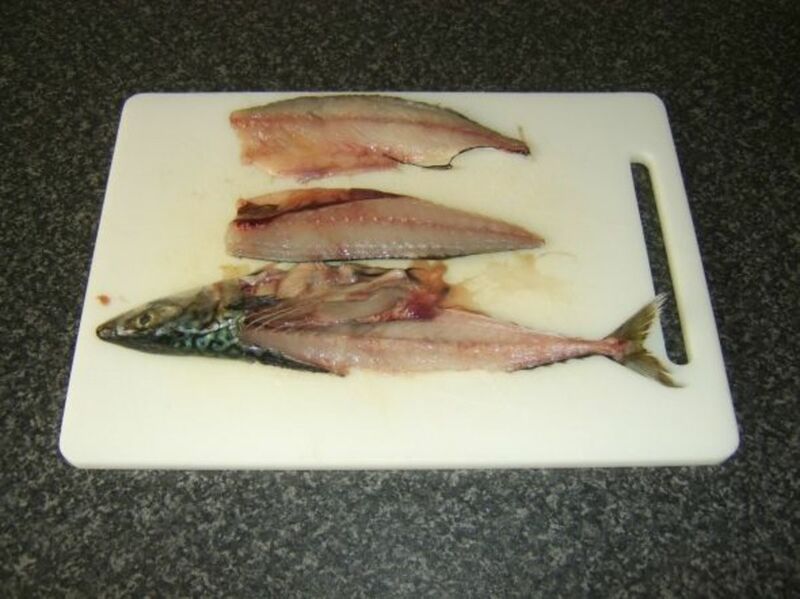 Where it is being properly pickled, mackerel will take a number of days in the vinegar - minimum - before it is ready to eat. This method imparts a lot of the flavours and textures in just two to three hours. 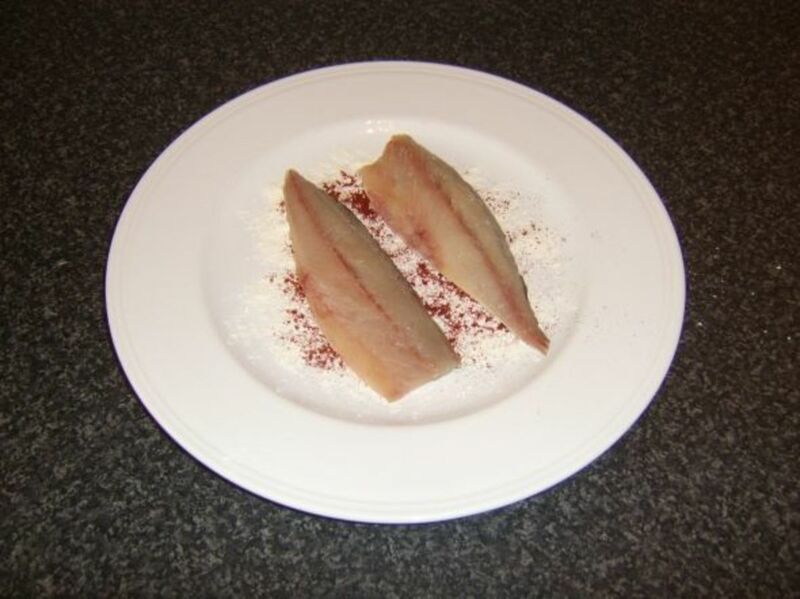 This dish also features a supermarket bought mackerel fillet. Note that the lengthy prep time is simply due to the mackerel being left to cool in the poaching liquid. The time is almost exclusively hands-off. 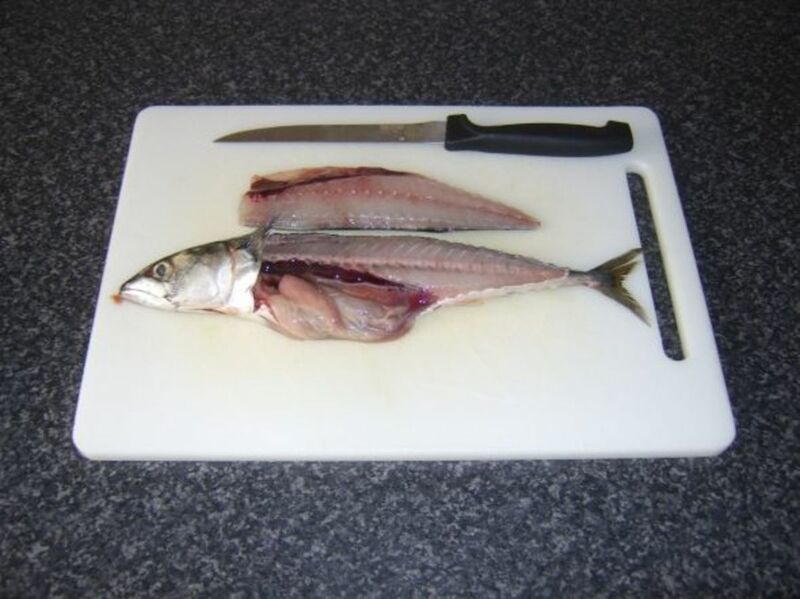 Check the mackerel fillet for an excess of large bones and remove any where required with tweezers. 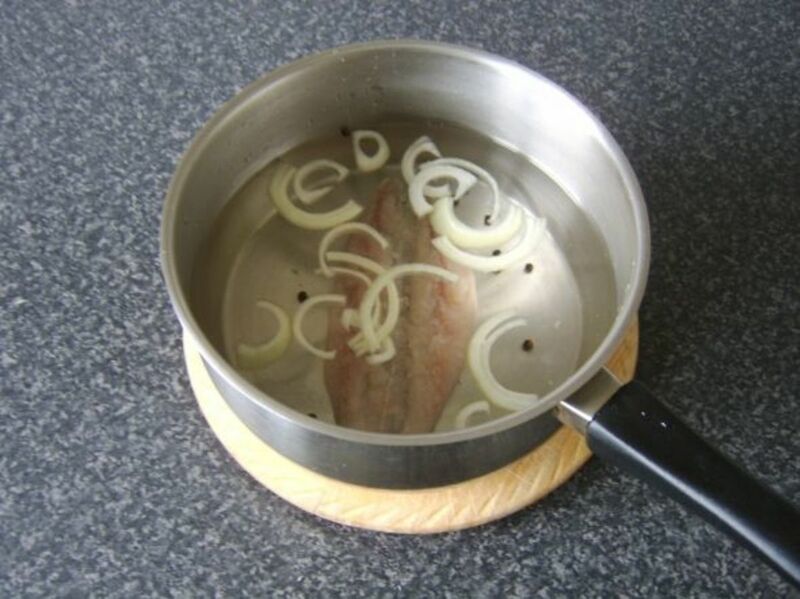 Lay the fillet in a large pot with the half onion (sliced,) the salt and the peppercorns. Add enough cold water to more than comfortably cover the ingredients. Heat until the water only just begins to simmer, turn off the heat, cover and leave for a couple of hours to cool. Half the bread roll and toast the opened sides to golden. 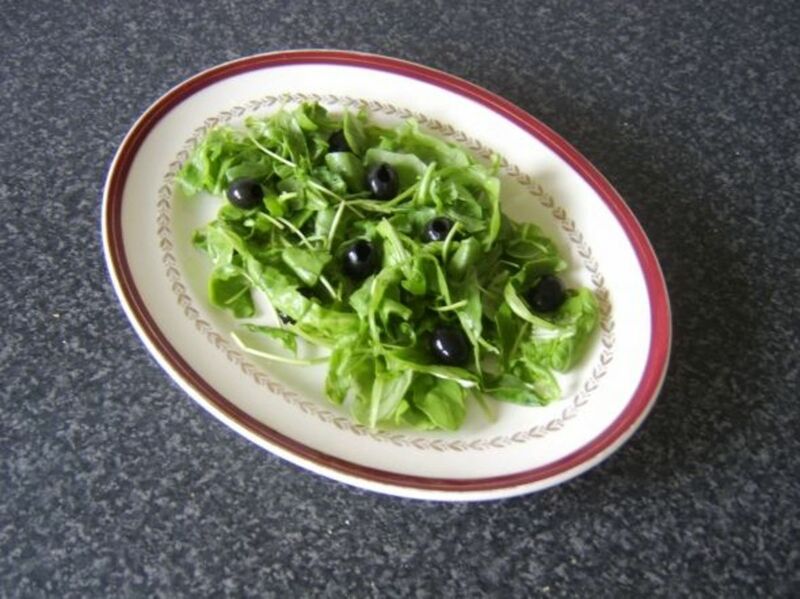 Lay on a serving plate with the salad. 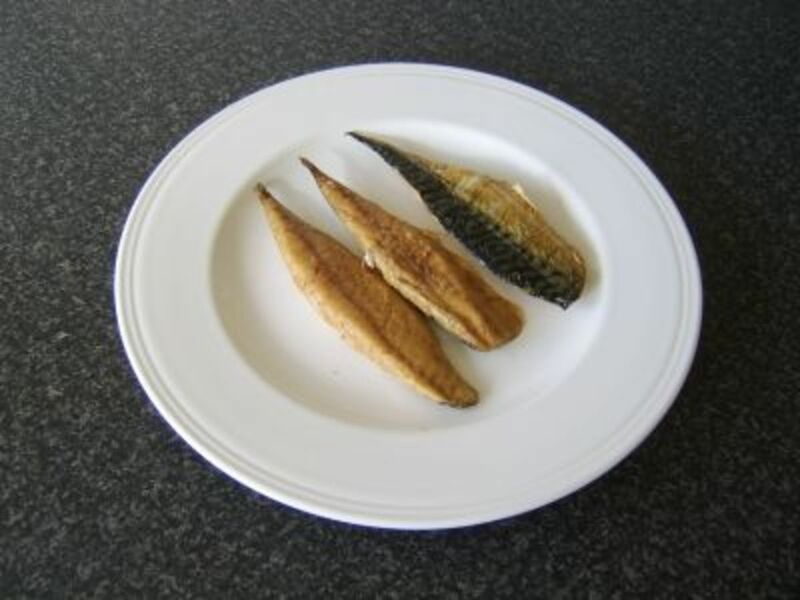 Remove the mackerel fillet from the water with a large slotted spoon or by hand and fold it on the bottom half of the roll. Optionally, add a few strands of the onion. 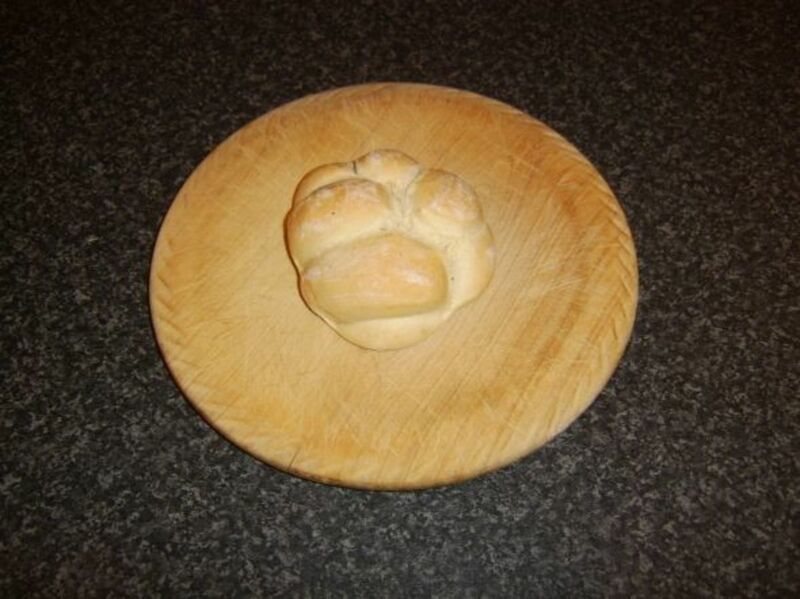 Place the top on the roll, serve and enjoy. 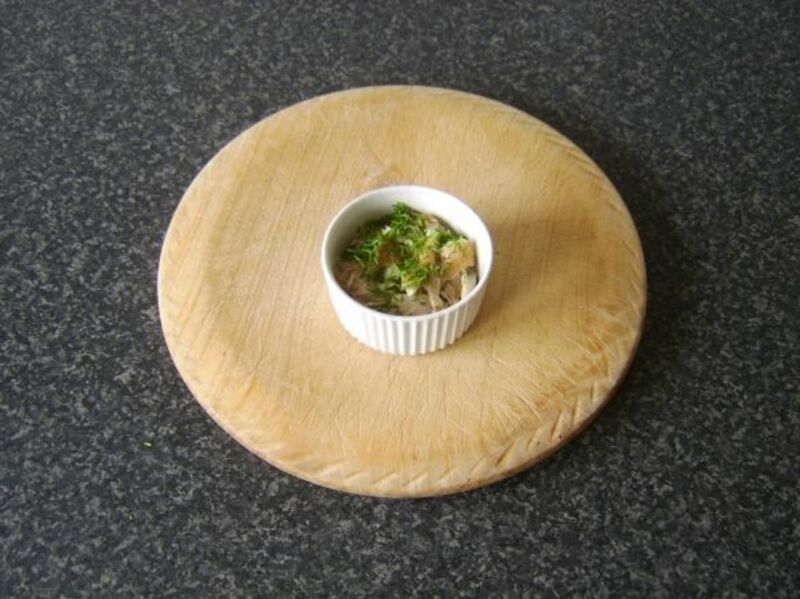 This is a slightly different take on an old Scottish dish. 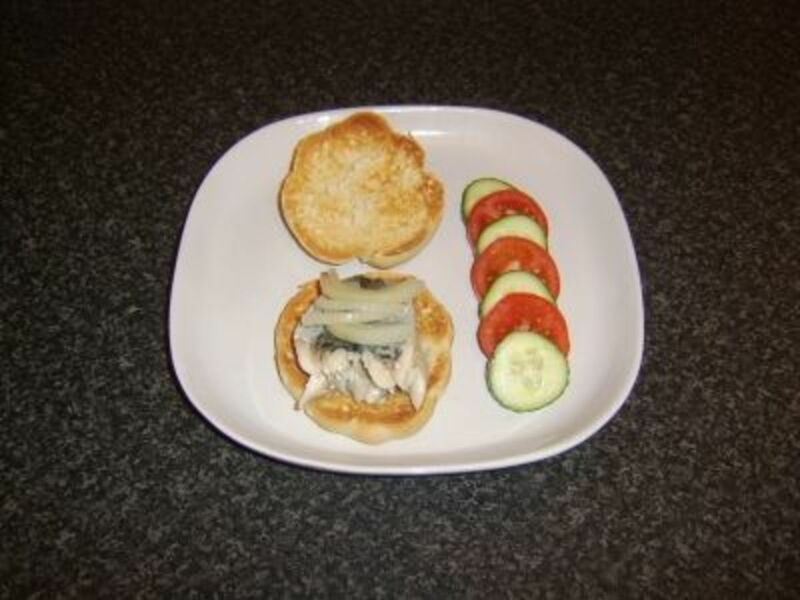 The difference is that herring would normally be the fish used but mackerel is one of the few species which makes an effective substitute. Wash the potatoes and add them unpeeled to a pot of lightly salted, cold water. 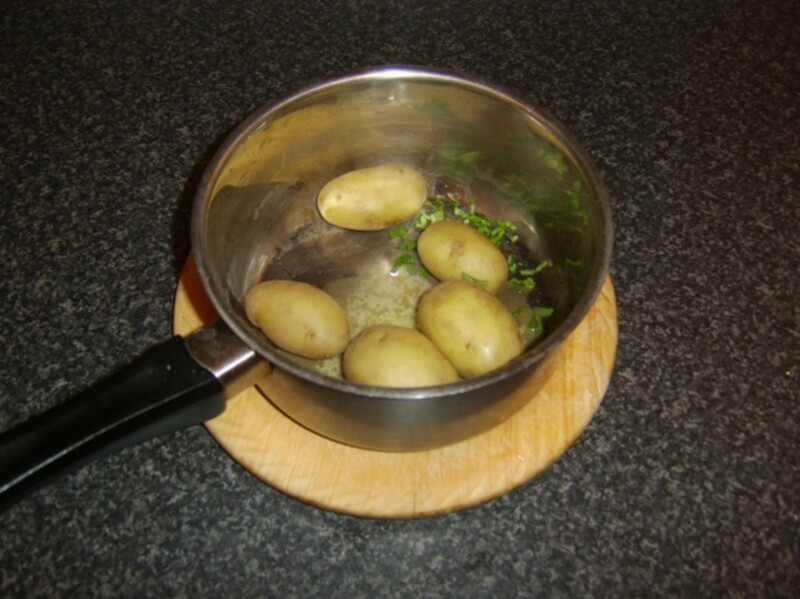 Bring the water to a boil and simmer for about twenty-five minutes or until the potatoes are softened. 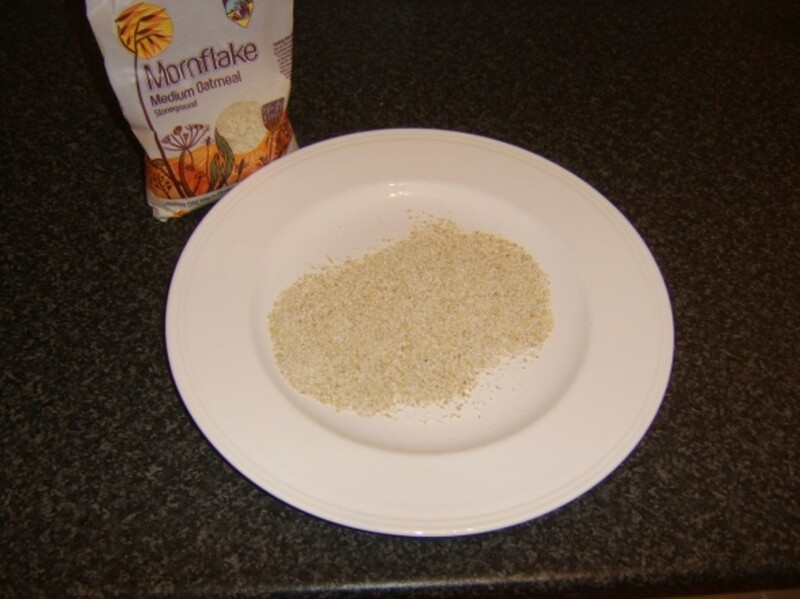 Scatter the oatmeal on a plate and pat the mackerel fillet on both sides to coat. 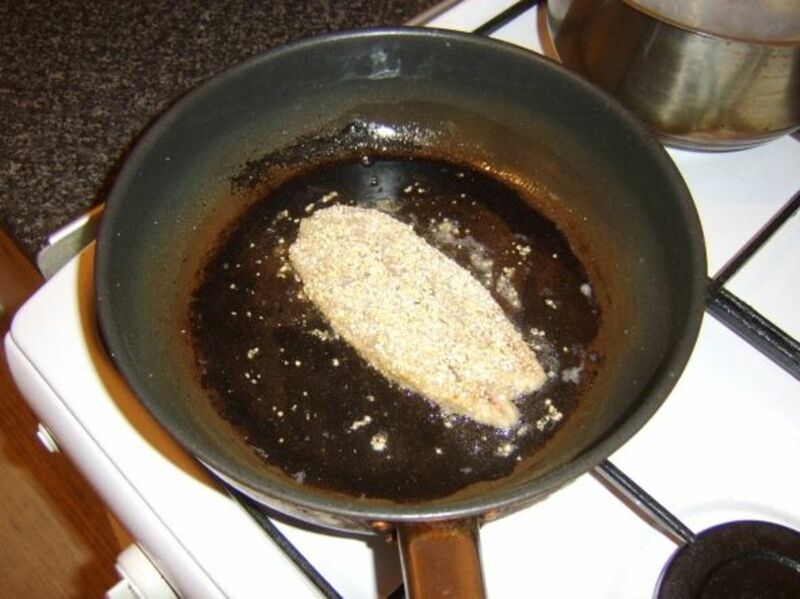 Fry on a gentle heat in the oil for a two to three minutes each side until cooked and the oatmeal is crisped. Drain the potatoes and return them to the pot with the butter and chopped mint. Gently swirl to evenly coat. 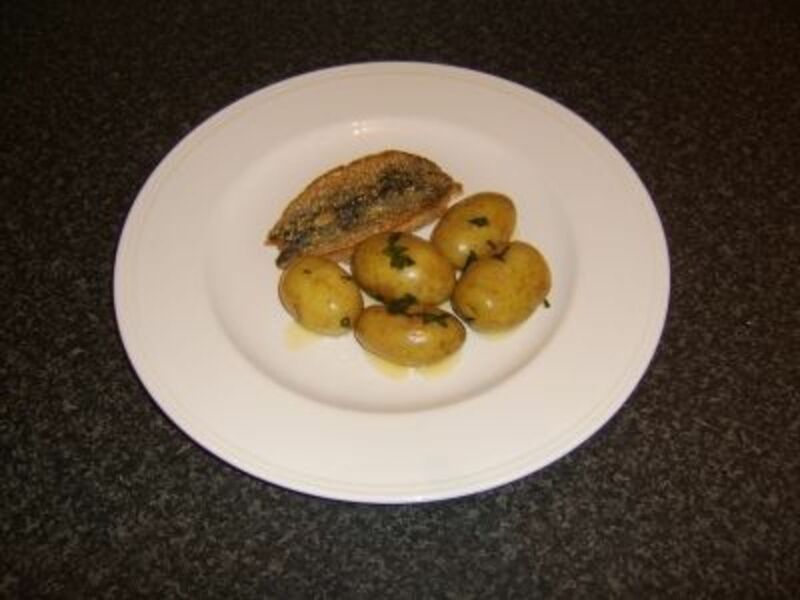 Plate the potatoes and mackerel and season the mackerel with salt and malt vinegar to taste. 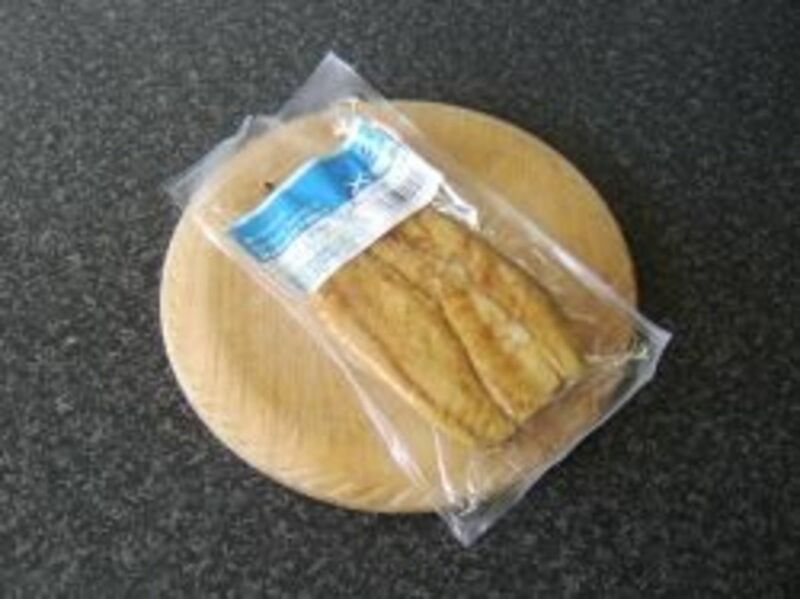 Mackerel is commonly hot smoked - the smoking method which cooks the fish as well as smoking it - and sold either individually or in vacuum packs such as the one pictured to the right. 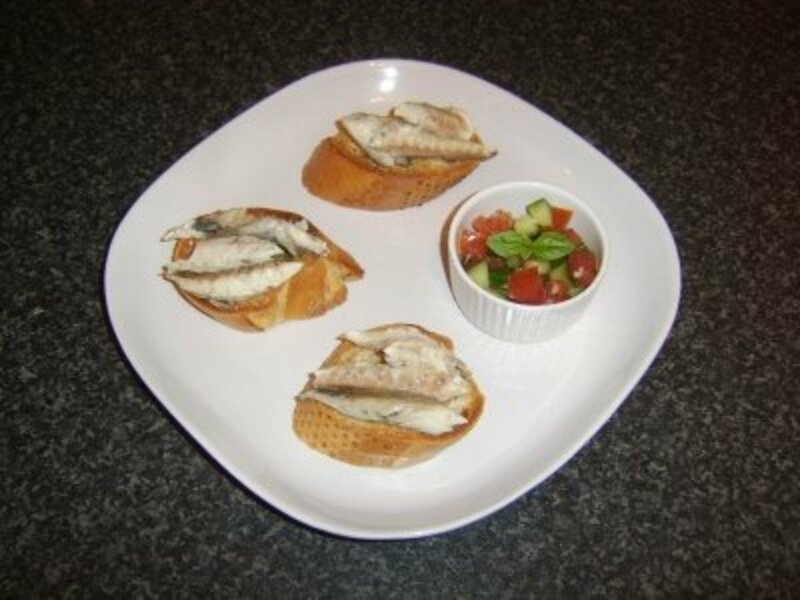 Although it is possible to heat smoked mackerel, or technically even to cook it in very delicate ways, it is most definitely bought ready to eat and best served this way. The only question is what we serve to accompany it and you will find a few suggestions in this respect below. 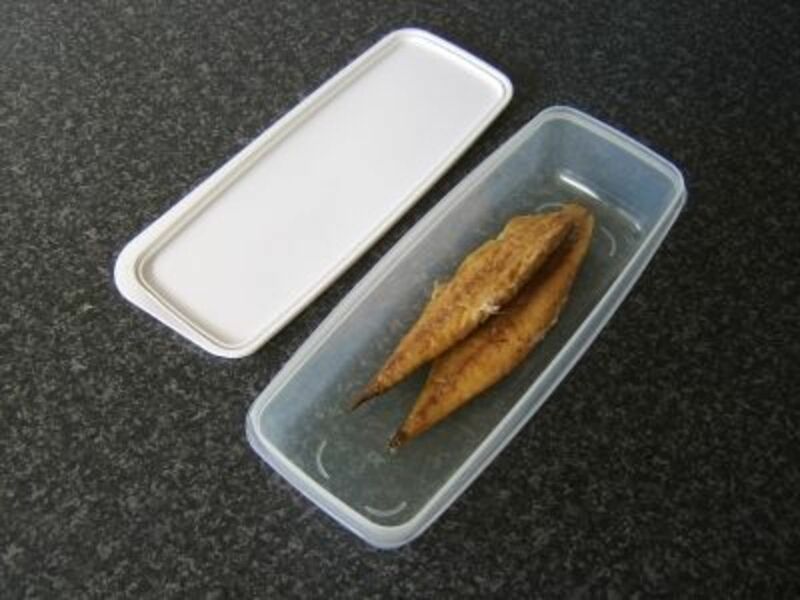 It is worth pointing out that if you buy a packet of smoked mackerel and are not going to be using it all at once, it should be stored in the refrigerator in a plastic dish, like the one above designed for bacon, not the opened packet. This will not only ensure it does stay fresh for a couple of days, it will prevent the smell affecting everything else in the fridge! When you buy smoked mackerel, it will almost certainly still have the skin on. The good news is that it is extremely easy to peel off and usually comes away in one piece. 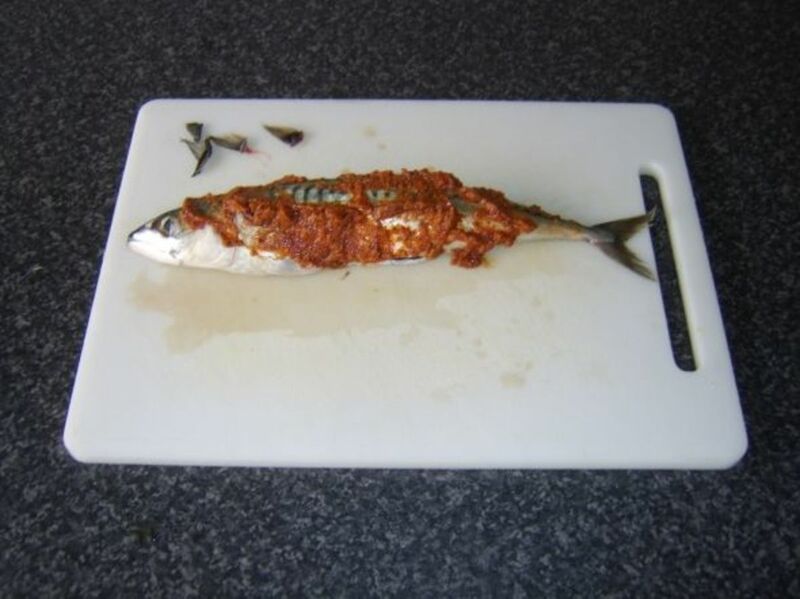 Ideally, you should do this and discard the skin before plating the mackerel. 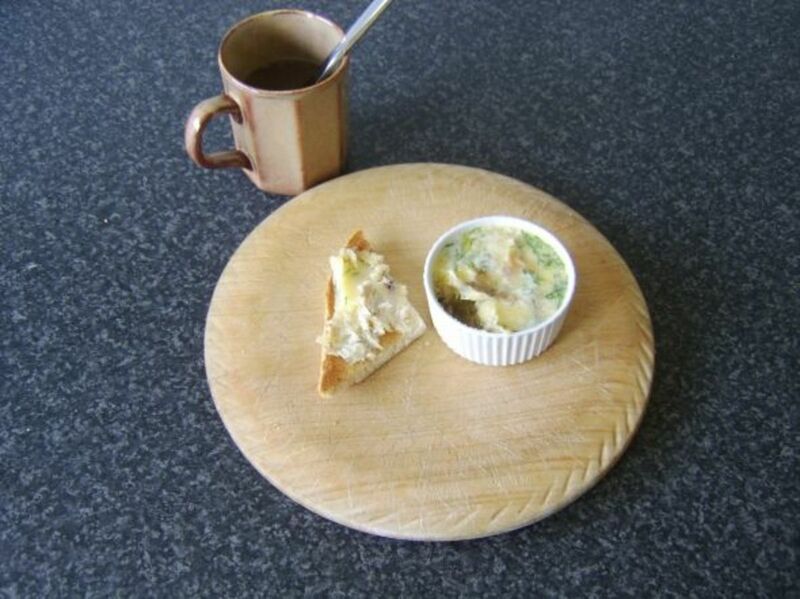 The smoked mackerel is served here with clapshot, a traditional dish from the North of Scotland. 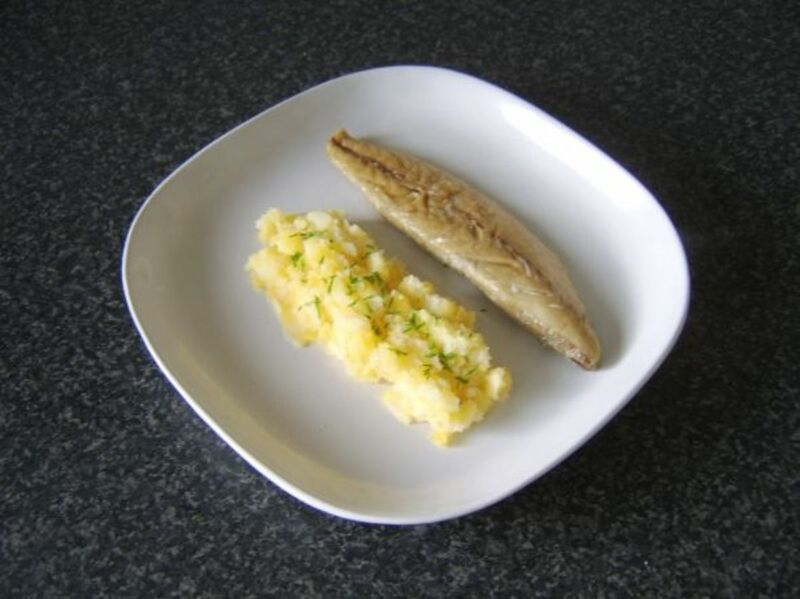 Clapshot is simply mashed potato and Swede turnip (rutabaga) with butter, seasoned with salt and pepper and freshly chopped chives. 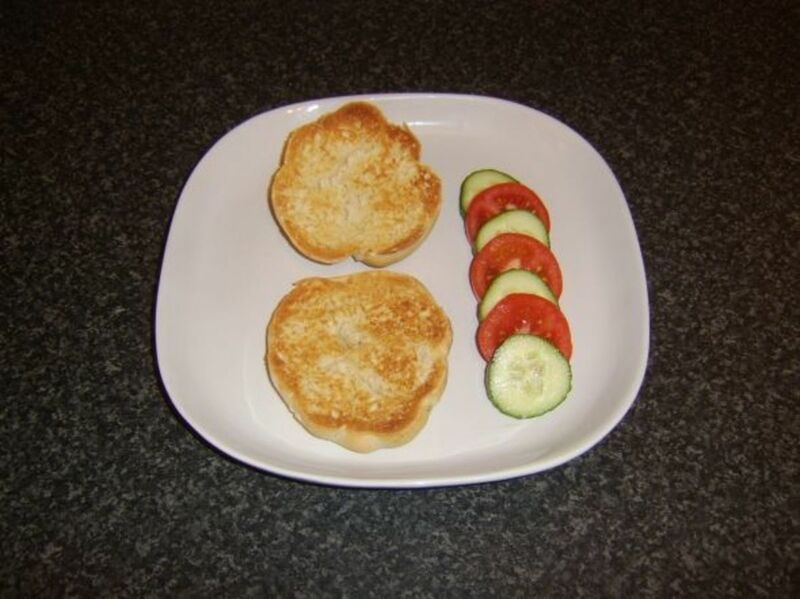 This is surely about as simple a lunch as it gets, with absolutely no cooking and virtually no preparation required. 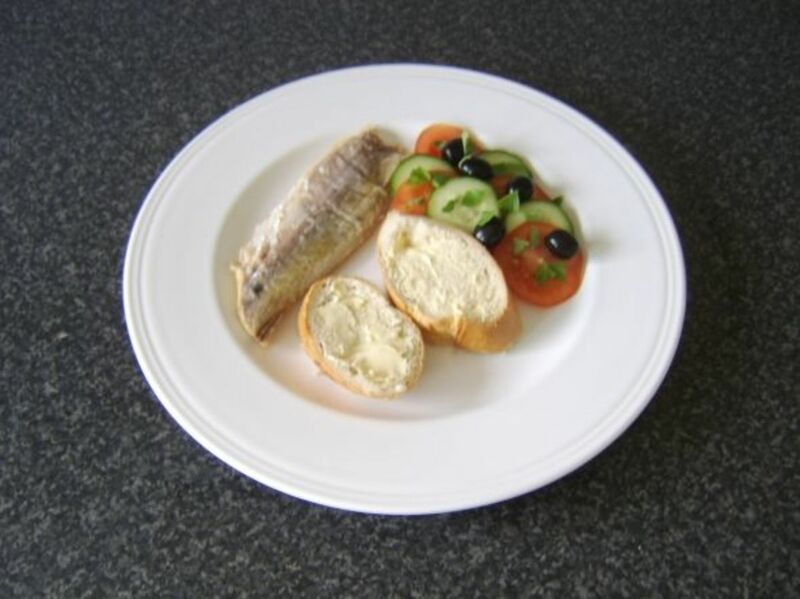 The mackerel is simply skinned and plated with a few traditional salad items and some fresh bread and butter. Delicious! 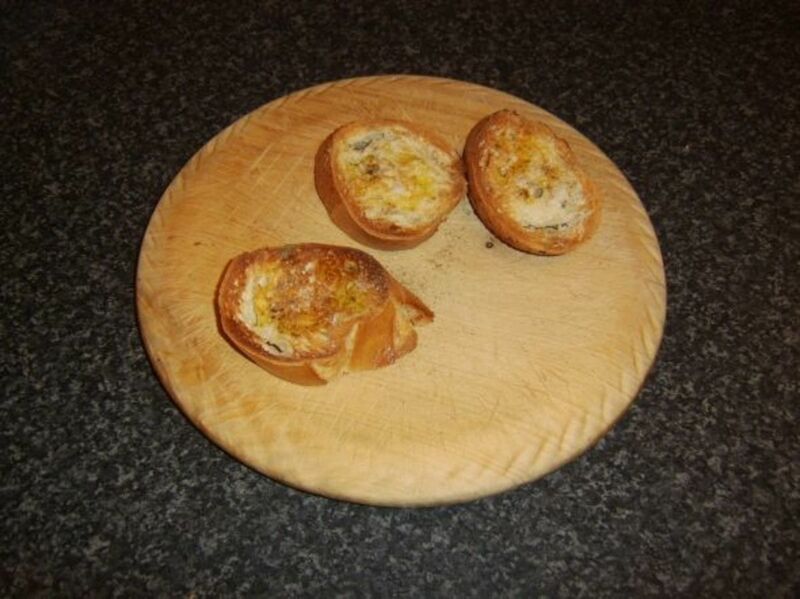 Do you find the butter you spread on your bread or toast to be a little bit boring and unimaginative? 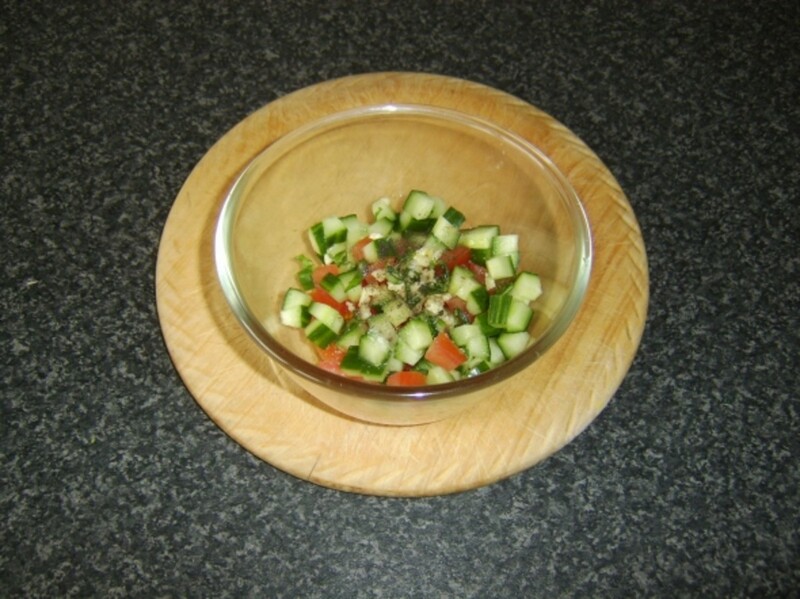 Would you like to easily liven it up a bit and make it suitable for inventive starters or appetizers, light lunches or imaginative snacks, as well as your everyday breakfast? 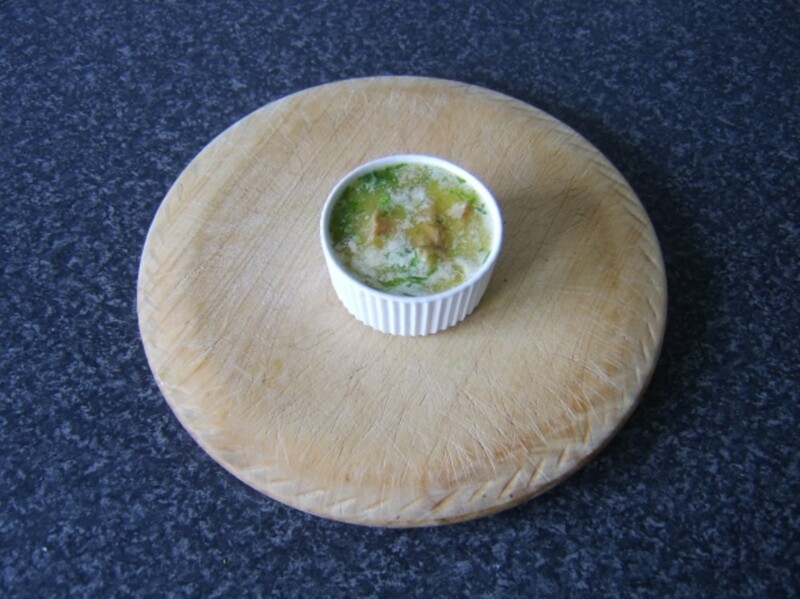 Herb infused butter of many different types is delicious for all these purposes but by including smoked mackerel in this recipe, along with chives, we have taken the process one step further along the road of tastiness. 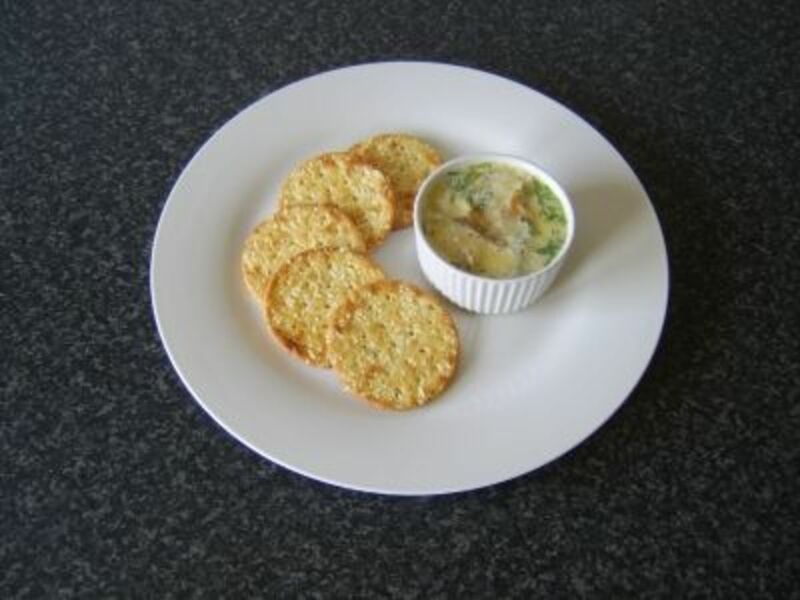 The quantities here for the smoked mackerel and butter are guidelines, as fillet sizes will vary and the precise amount of mackerel you put in to your ramekin and how tightly you pack it will affect the room available for the butter. You may not need the full 2 ounces (half a stick) but it is better to have too much than not enough. Peel the skin from the mackerel and break it in to medium sized flakes. Add them to the dry ramekin and press down gently but not too much as you want to leave room for the butter to permeate. 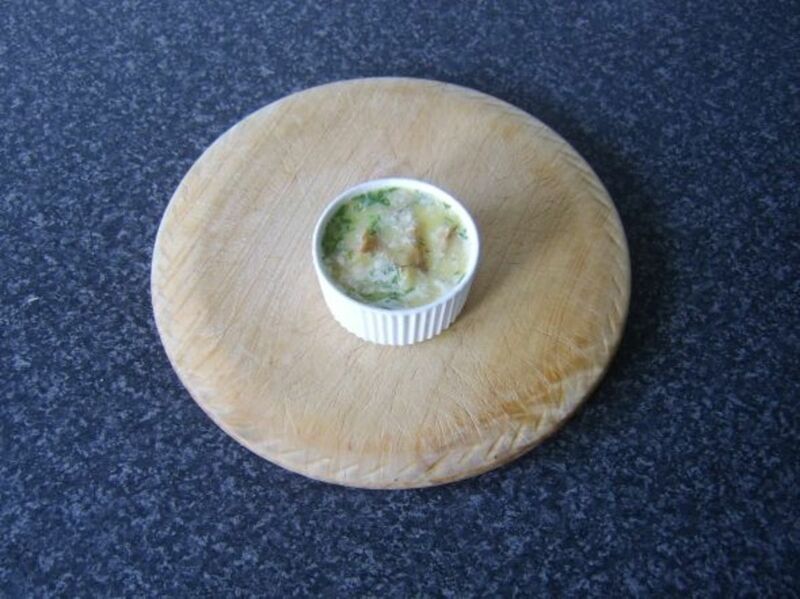 You should leave around half an inch gap at the top of the ramekin. Scatter on the chives. Put the butter in to a small saucepan, season with the white pepper (you will get all the salt you need from the mackerel) and gently melt. It is a good idea to lift the pan away from the direct heat just before the butter is fully melted and complete the process by gently swirling it. This eliminates any risk of the butter starting to brown. Pour the butter very carefully in to the ramekin, filling it right to the brim. Cover with a plastic food cover and leave it for at least two hours or until completely set. If you are preparing the butter well in advance, you can refrigerate it, covered with plastic wrap. It will keep in this way for two or three days. Try to remove it from the fridge, however, about an hour before it is required that it may soften at room temperature. If this is not practical, a good tip is to dip the blade of a knife in some boiling water before using it to spread your butter. Serve this butter with hot toast, crackers, salad, or any accompaniment of choice. 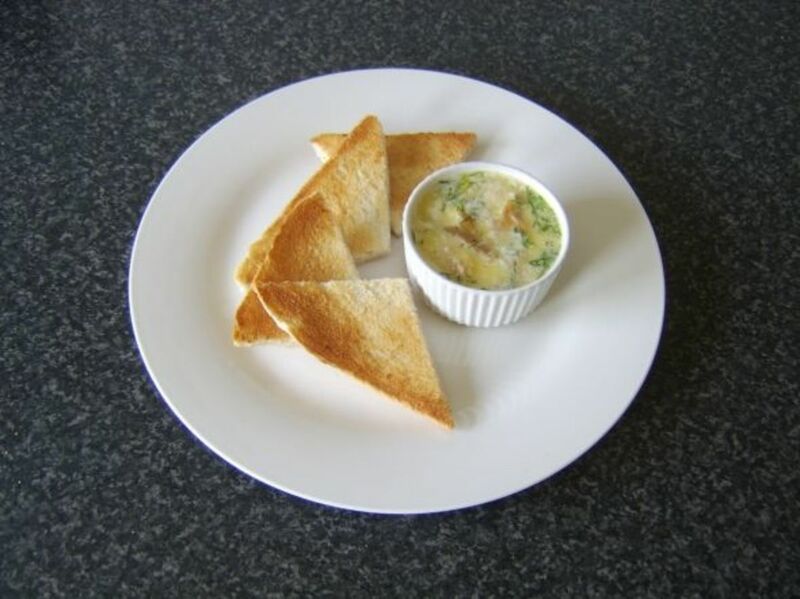 One ramekin should do two people as a tasty starter or appetizer. 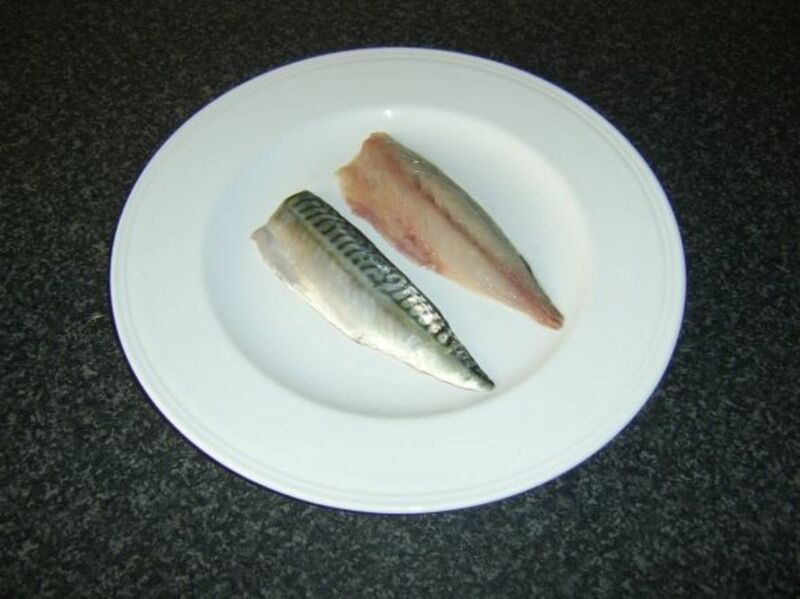 Have Your Say on Mackerel! How do you best like to prepare and serve mackerel? Thank you for taking the time to read through this page. I hope you have found it informative and helpful. Any comments or feedback which you have may be left in the space immediately below. One of my favorite fish at the sushi bar.Super rich tangy fish and so good for you. Thinking about it I have not had mackerel since my student years, and then I loved it grilled:) I think it would be good to get some soon! 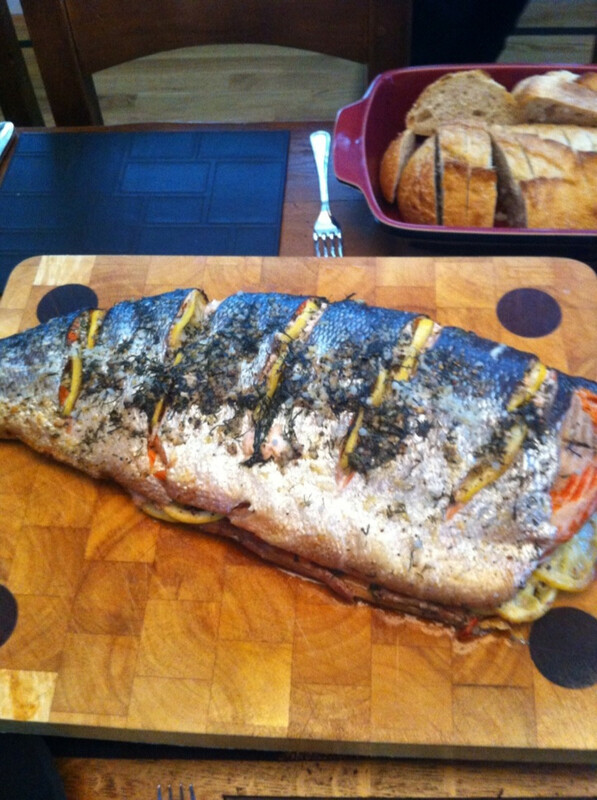 I love filled mackerel in the oven, with a lot of roasted veggies! 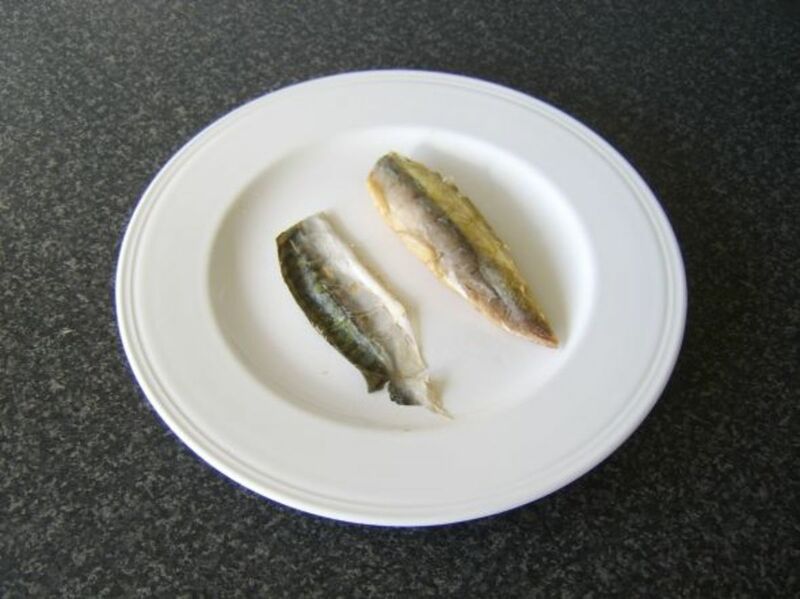 @Gypzeerose: I bought 2 fresh whole trout at asda can be frozen for 45p each i would love to know what would be best to serve it with? @GregoryMoore: My gosh, we're trying to figure out how to cook OUR limit of Mackerel caught in Destin, probably the same time you were! At least now I know they're King Mackerel. Terrific website and descriptions. We'll try some tonight. I was glad to read the positive comments. We'd been told by people in Destin that it wasn't a very good eating fish. I hope to prove them wrong. @MerandaJade: Thanks, Meranda. I'm actually not sure whether I've ever eaten mackerel in the sushi style or not. Interesting idea. Hope you enjoy what you try. I had to tell the truth: I don't like mackerel. However, I have never tried any of your delicious looking recipes, and I think I might change my mind. I've only used it from a can when I couldn't afford salmon. 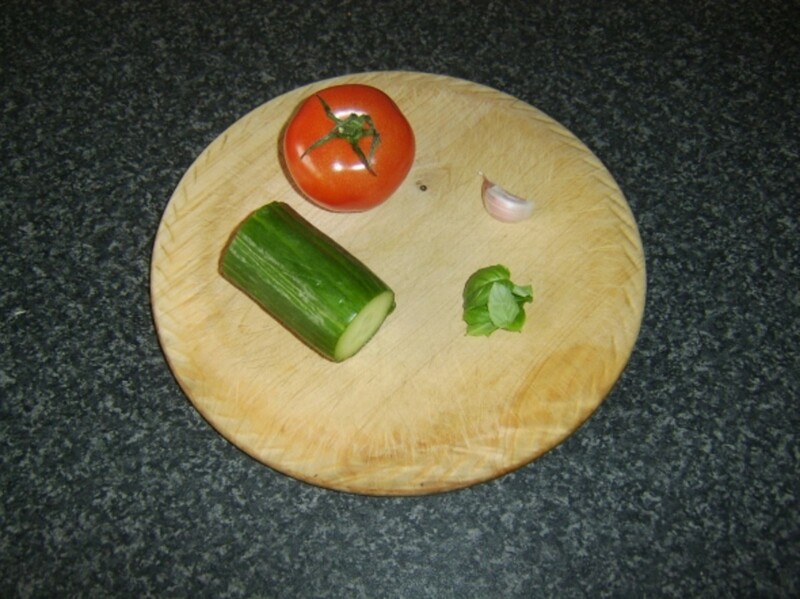 But it is healthy and sustainable, definitely worth another try. Very thorough and wonderful, beautiful - I know exactly how to prepare the fish. Pinned to my cooking and foods lens - I will come back here and try some of these recipes, especially the smoked mackerel. Angel Blessed! @Gypzeerose: Hi, bloomingrose and thank you. I promise you that fresh or smoked mackerel is very different from out of a can. It is actually like eating a different type of food altogether. 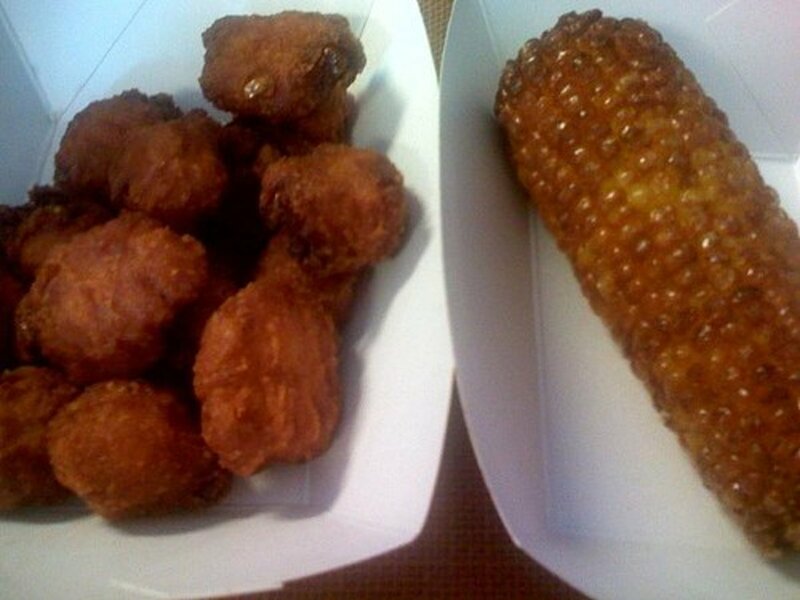 I'm glad this page has convinced you to try it and I hope that you enjoy the new and delicious experience. 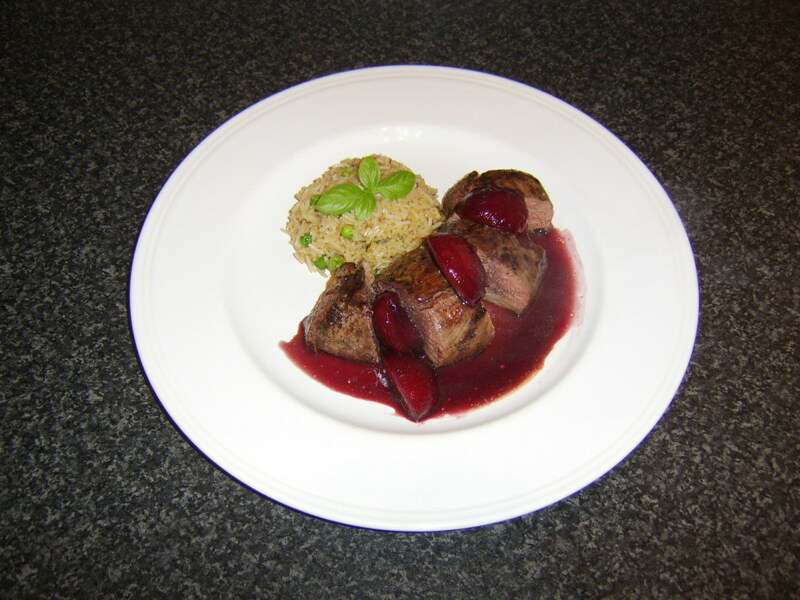 Great recipes and pictures! I once had mackerel sashimi at a Japanese restaurant and thought it was really flavorful. I have never tried to cook it. I think I will try out some of these recipes! This is one of my favourite lenses - I love this fish! It seems very delicious! Thanks for sharing such an informative Lens! 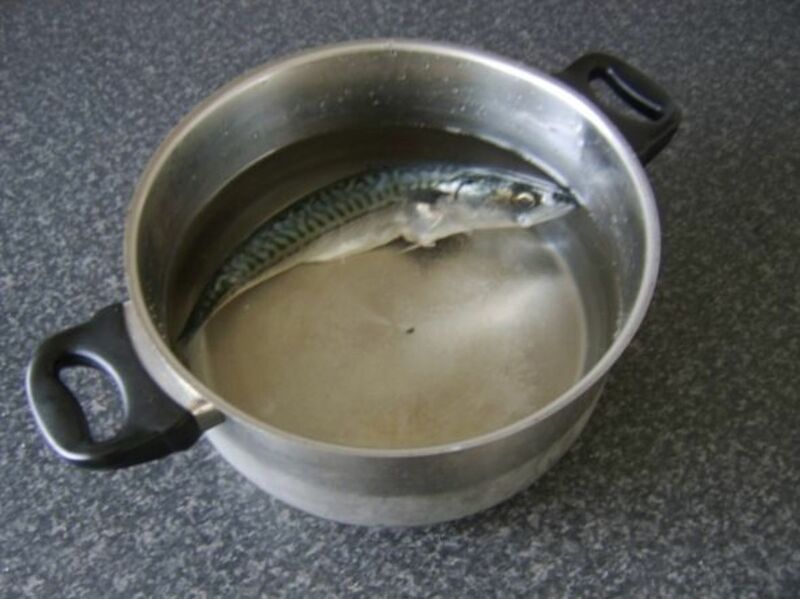 Hi I have enjoyed your lens on how to cook mackerel. This is a really mouth-watering lens, with lots of useful information, and beautifully illustrated too. Thank you! @Gordon N Hamilton: I thought it sounded excessive too. Twice a week is better than the 3 times per month I heard. Looks like I'll be firing the grill back up again soon! Thanks for the response! Great lens on mackerel recipes. I must admit I became hungry going through all the recipes here. Thank you for sharing. I don't know if I have ever eaten this fish, I best check out the supermartket and if they have some - I am going to give some of these recipes a try. Some look absolutely delic!!! So many yummy looking and sounding mackerel recipes - delish! Harmony, the tabby, gives this article two paws up! Meow-ilicous!! Congratulations on having the Lens of the Day! This is a fantastic article. Thanks you for posting! Congratulations on LOTD and your purple star. Well Deserved! Blessed! Congrats on the purple star &amp; LOTD. Haven't had this since I was a kid. I guess because my Dad cooked it for us. He did all the cleaning. I love mackerel is one of my favourite dish. Thank for giving so much ways to prepare Mackerel! Great lens. Your pictures that accompany each "how to recipe" are spot on. I will have to try mackerel at some point. Kind of tough to find any living in the midwest, but will make it a point to try some next time I am on the Atlantic Coast. Congrats on your LOTD! I love the pics of every recipe step. I'll have to try the bruschetta for sure. Don't know if I've ever eaten mackerel before, but now I won't hesitate to try it next time it's available to me. You do an excellent job with recipes and preparation instructions. Congrats on LOTD! Holy Mackerel that's a lot of information! Not a fish fan, but this an impressive lens. congrats on your LOTD honor. What gorgeous recipes! 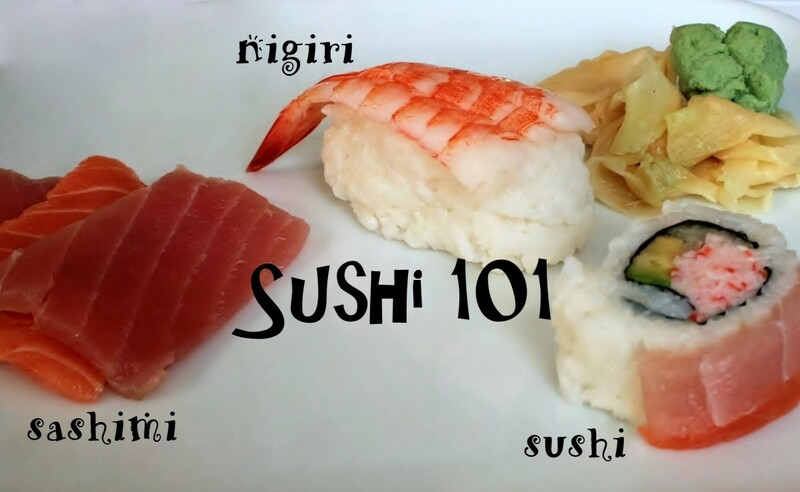 I love that every recipe is presented step-by-step along with photos. Lovely lens! How timely. Bought mackerel for the first time and here you are! Thanks for the great lens, Think I'll keep it simple and do the oatmeal one. This is an interesting lens -- thanks for sharing, although I'm a vegetarian, I'm sure others will find this lens useful. Congratulations on LotD! Despite the "sustainable" designation for this species, commercial fishing species are best avoided altogether in my opinion, which is the best way to ensure that we are conserving marine life. Cheers! Must say "A Mouthwatering Lense"....The pictures are very appetizing. This lens is so helpful... I like fish... but my problem is that I am not a great cook with fish, so your collection of recipes are just great for me. I print all out. @GregoryMoore: Sounds good, InterRev. The latest guidelines I heard re (potential) mercury content were that mackerel should not be eaten more than twice a week. My personal belief is that such guidelines err excessively on the side of caution but I suppose there must be some evidence to support the claims. Thanks very much to all at Squidoo for the wonderful honour of this being Lens of the Day. I genuinely love mackerel and its sustainability touches on a subject very close to my heart: marine conservation. Thanks also to all of you for your wonderful comments and votes. I wish it were possible to host a huge mackerel feast to share! I finally learned what my favorite fish is called in English! Thanks Gordon! Very nicely done! 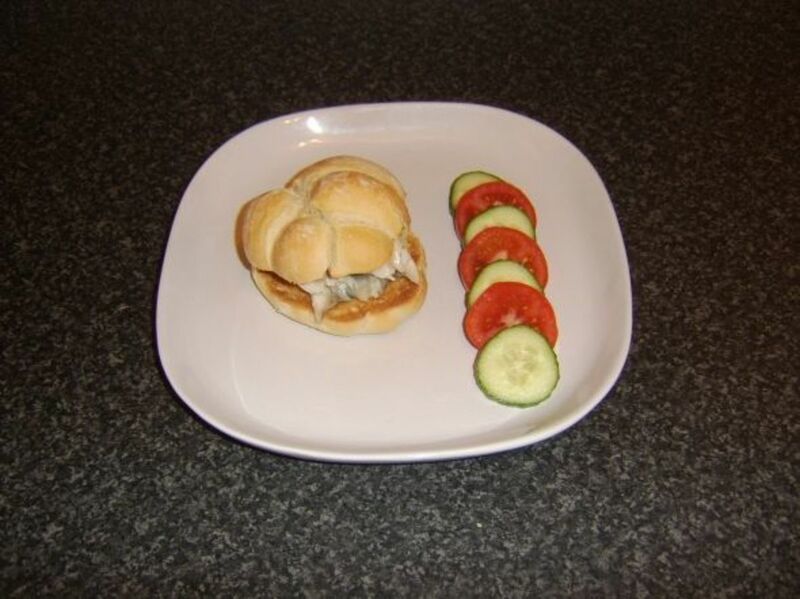 Delicious recipes for Mackerel. Smoked mackerel with steam rice! Yummy! Thanks. The recipes that I've been searching for! I spent spring break in Destin Florida, and we caught our limit of King Mackerel on a guided trip. My freezer is jammed full. I have been blackening them and cooking them on the grill with some lemon slices on top. But am dying to try out some of your recipes. I have heard that due to mercury content, you should only eat mackerel a few times per month. Is that true? Very informative, I am not sure I have ever eaten mackerel. Quite frankly, my favorite pan fried fish is panfish and then walleye and not the large ones. I will try one of your recipes though. Thanks for sharing. Again very, very informative. I may be one of the seven people on this planet who has yet to eat Mackerel. (Amazing) I'm very impressed by the amount of information and outstanding presentation in this article. Beautiful job. Not too easy to get fresh Mackerel here in TN--I even find it hard to get the frozen. I have used can but prefer to use fresh. Good lens, better than good, excellent. What an amazing and informative lens on Mackerel, lol. Congrats on the LotD award. VERY impressive and food luck with your lens building!! You have great recipes on your lens. I will definitely try some. My dear, you can make mackerel for me any day! I'd start with smoked and venture on from there ... working my way through all the recipes. Delish! In any form, mackerel is one of my favourite kinds of fish. Usually I make "soused" mackerel, but I'll look forward to trying these recipes - thanks! 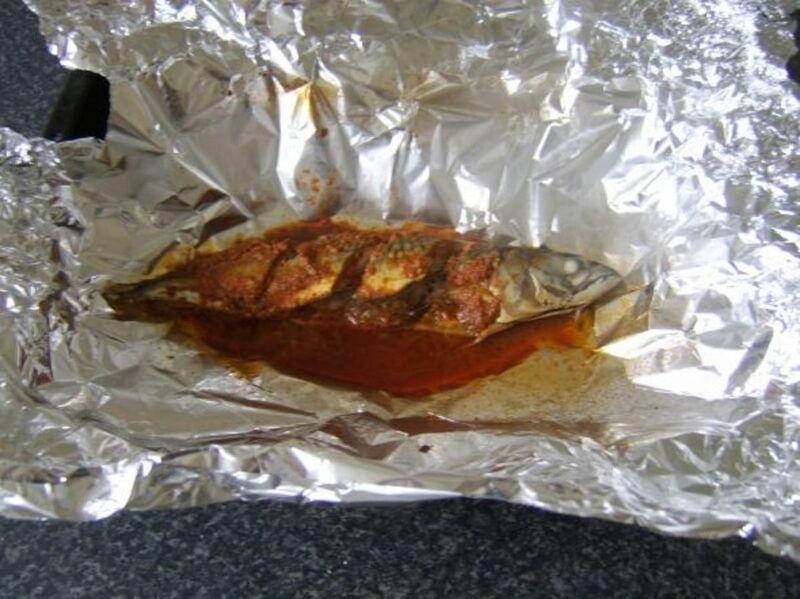 You certainly know how to cook mackerel :) Yummm!!! Congratulations on LOTD! I don't like fish very much, but some of these recipes would be worth trying. Hi Congrats on Lens of the Day!!! Woo hoo. And nice lens, lots of great info about mackerell. The best thing with mackerel is that it is high in Omega. Excellent images! I hate mackerel but think this is great. Sure I could substitute Mackerel with Cod or Haddock. Great lens. 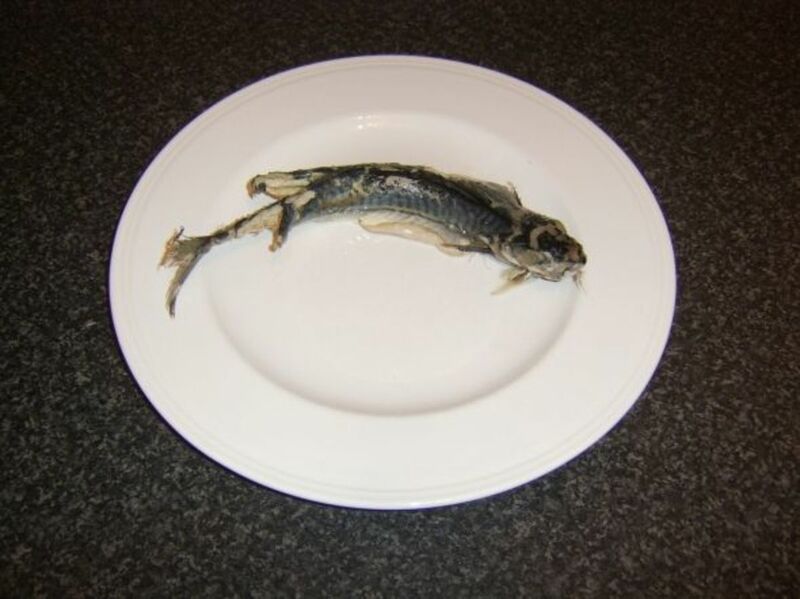 I am just about to sit down to my broiled mackerel, potatoes and beans. Nice lens. 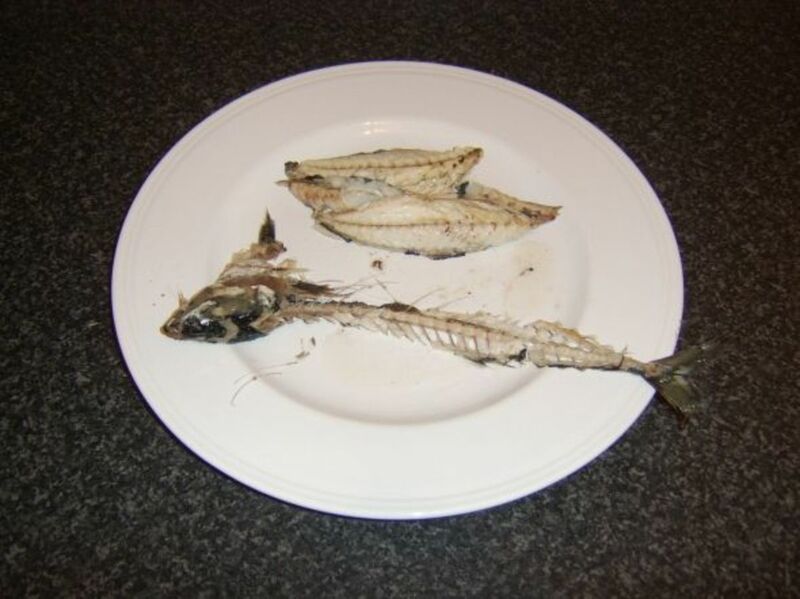 We live beside the sea where mackerel is readily available and very inexpensive. We buy it straight off the fishing boats. I've been running out of ways to cook it so your lens will be perfect for me. Thank you for the very clear recipes. 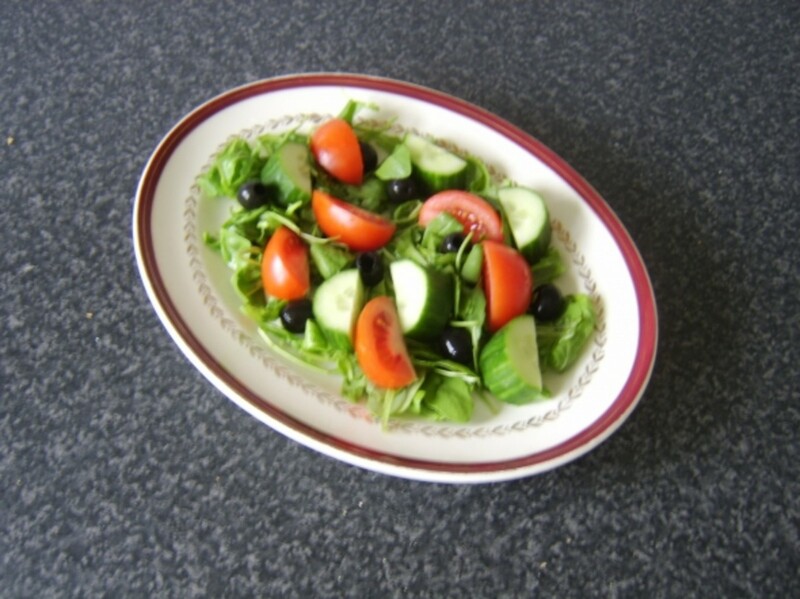 Great recipes, and so healthy! I love to smoke the King Mackerel and then make a dip ... yummy! 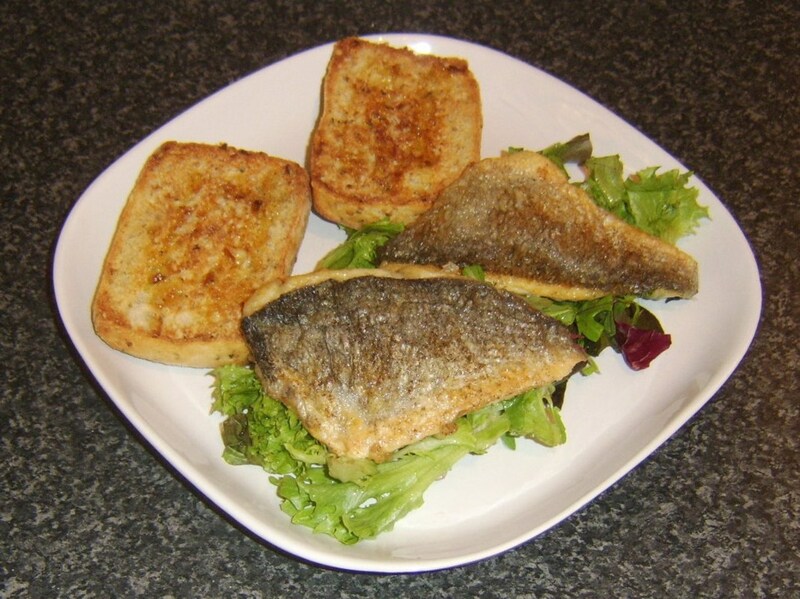 These are really great, I love to make fried mackerel and then add some lemon juice on it. yummo. nice tips. I love Fresh Mackerel. thanks for sharing your ideas here!.. Very informative. Congratulation on your LotD. I love seafood. Smoked, fresh and canned, but I have never had fresh mackerel.Now I have to find fresh mackerel. Some great ideas for this delicious fish here. Any smoked fish is my favourite. Congrats on LOTD too. 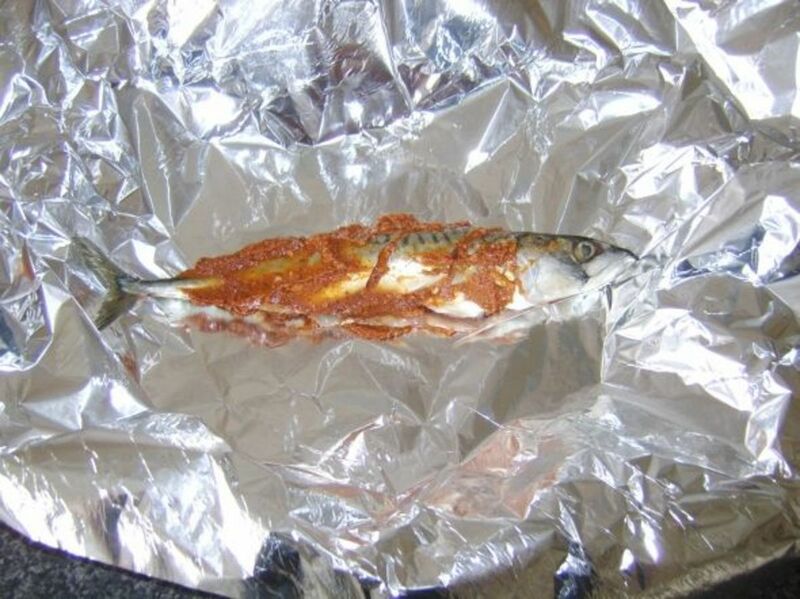 There is very simple way to cook mackerel. I've eaten a lot of fish, but not mackerel. Your recipes make me want to try it. Excellent step-by-step cooking lens. Congratulations on LOTD!